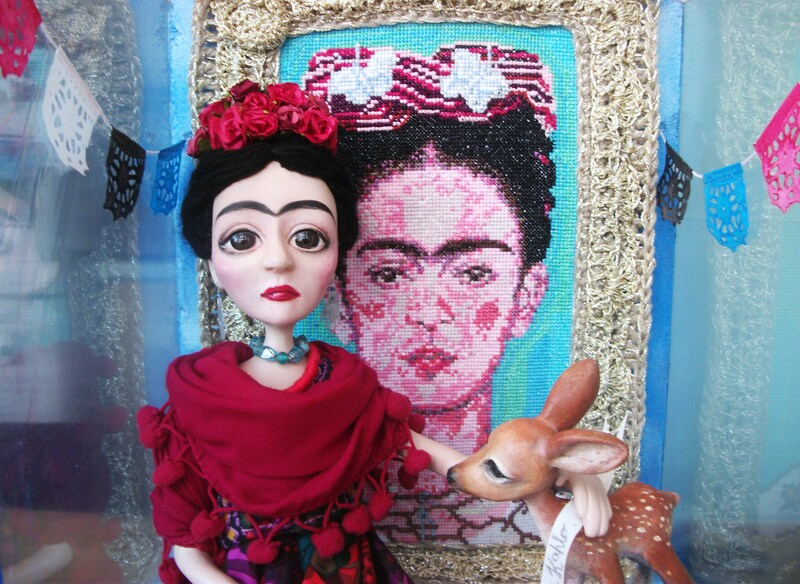 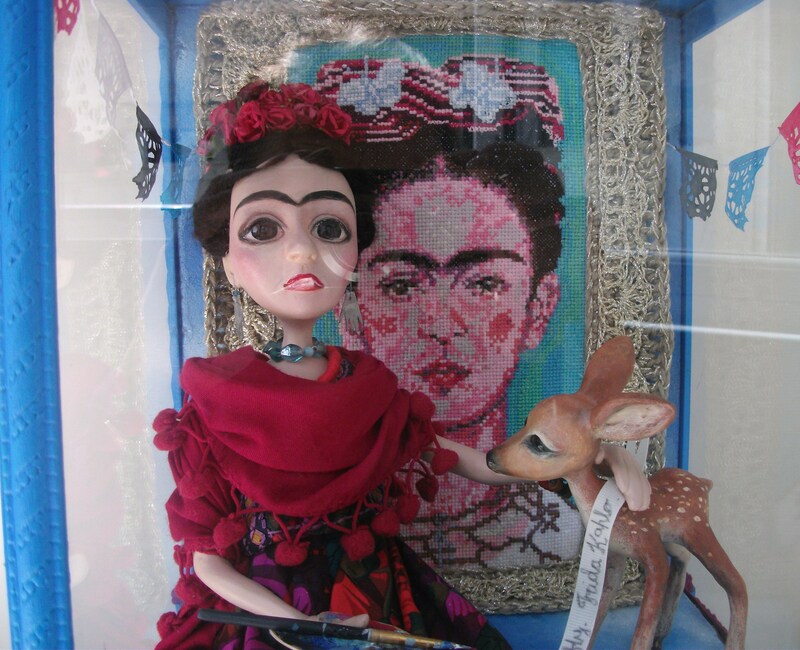 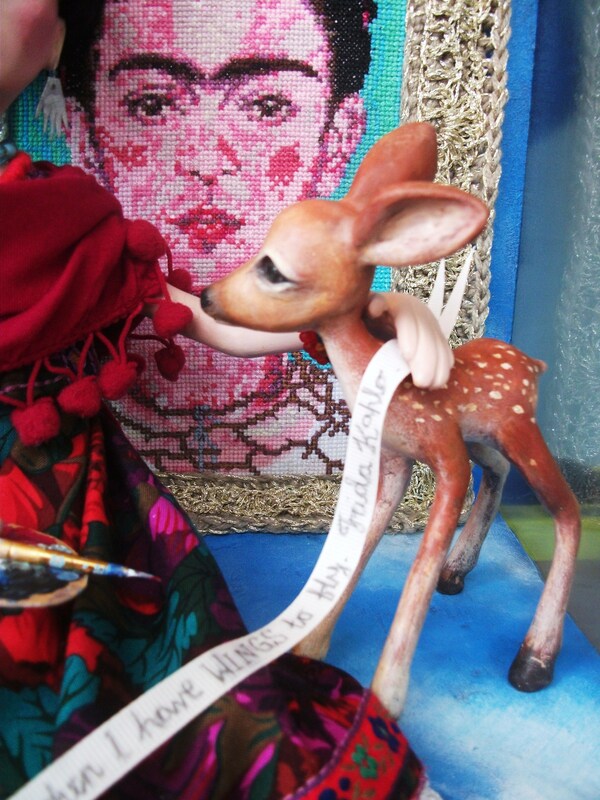 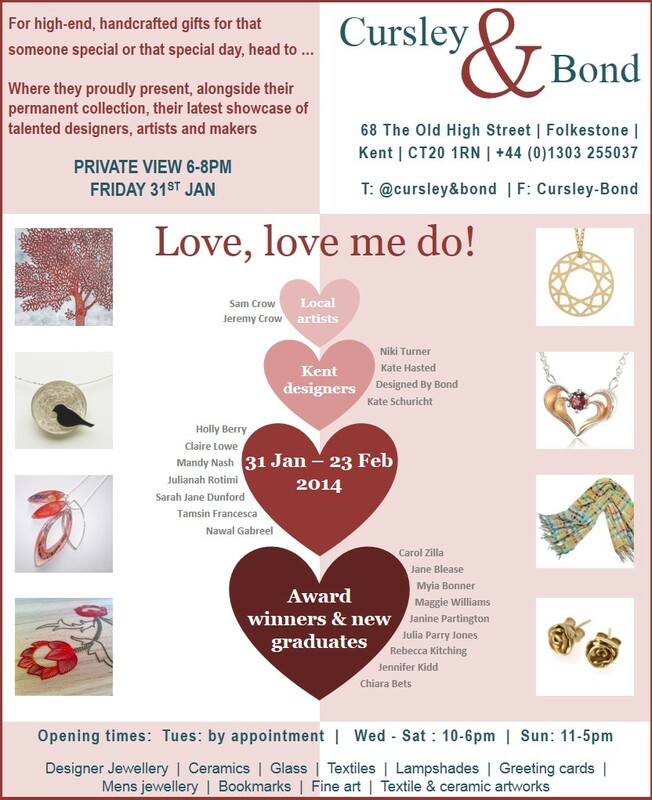 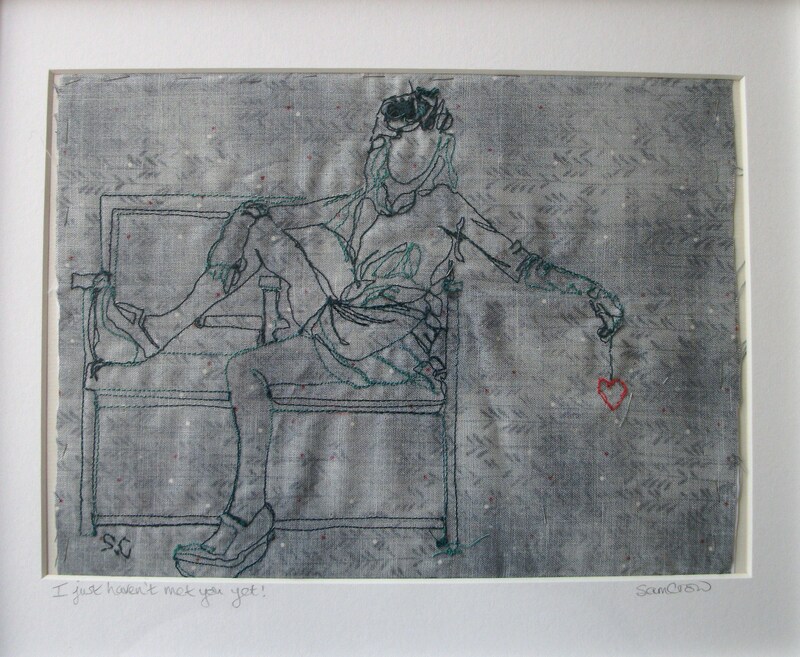 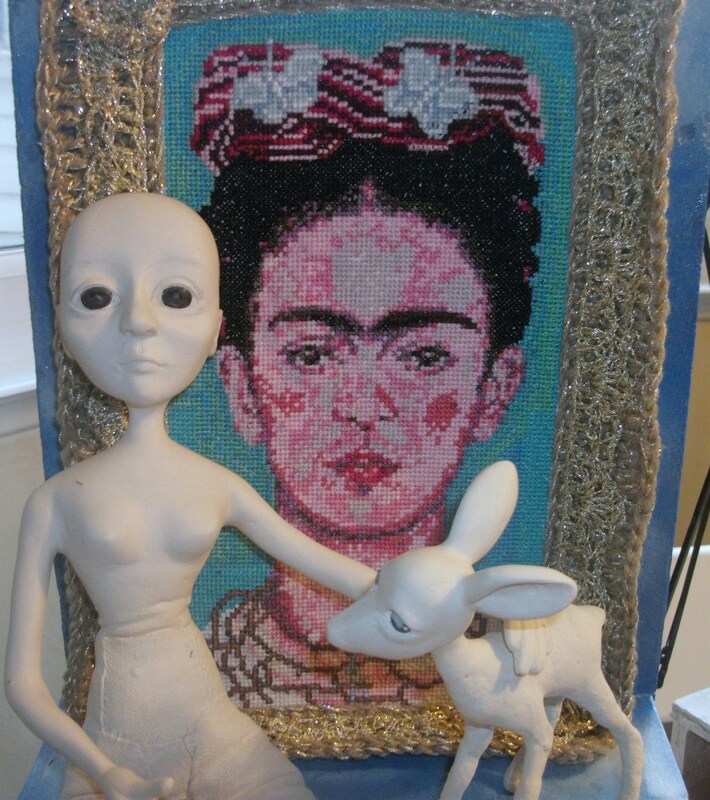 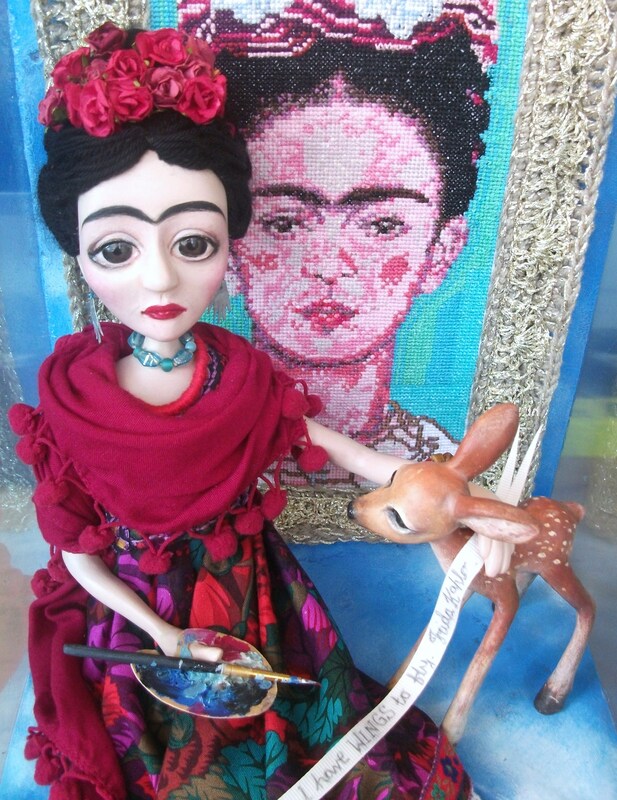 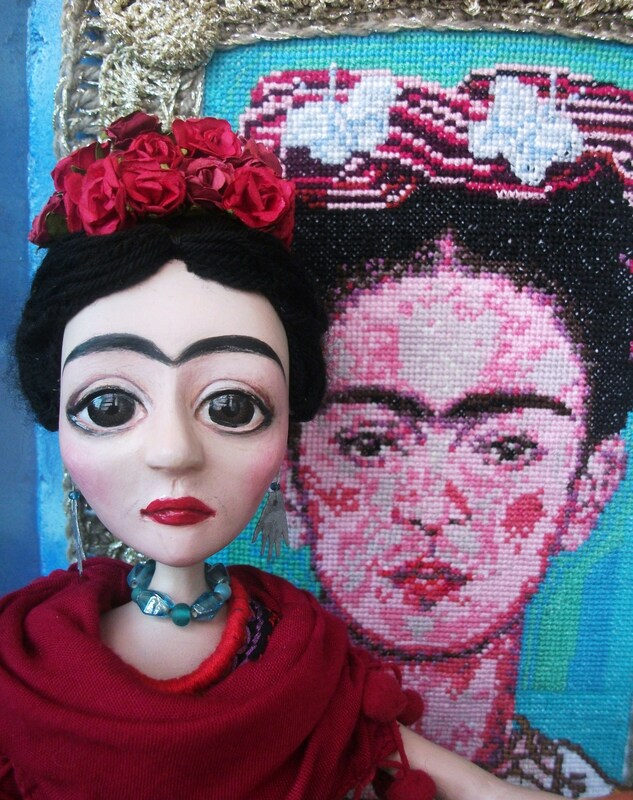 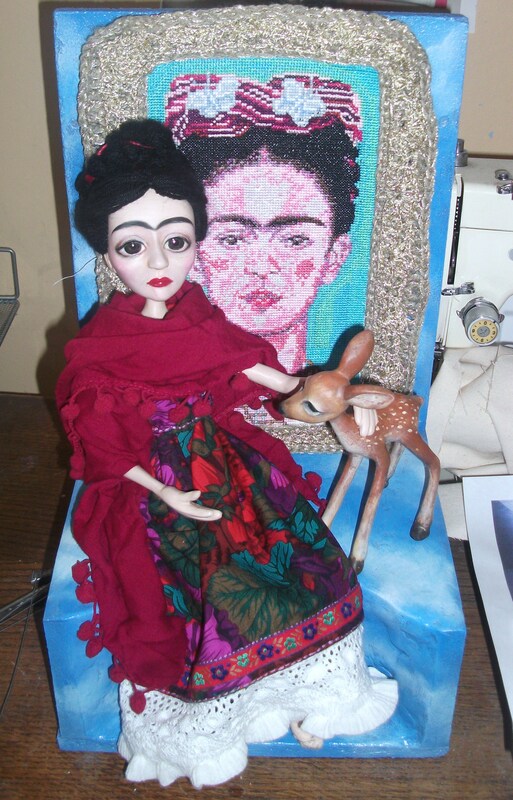 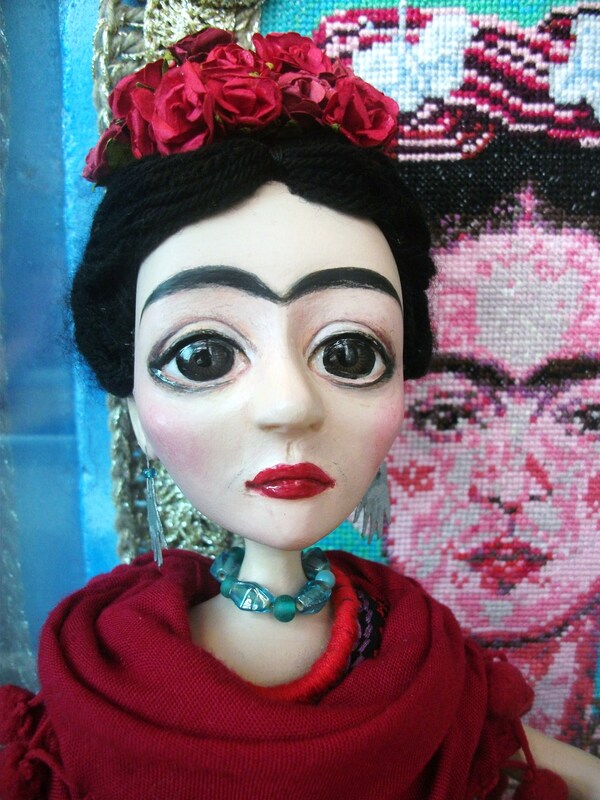 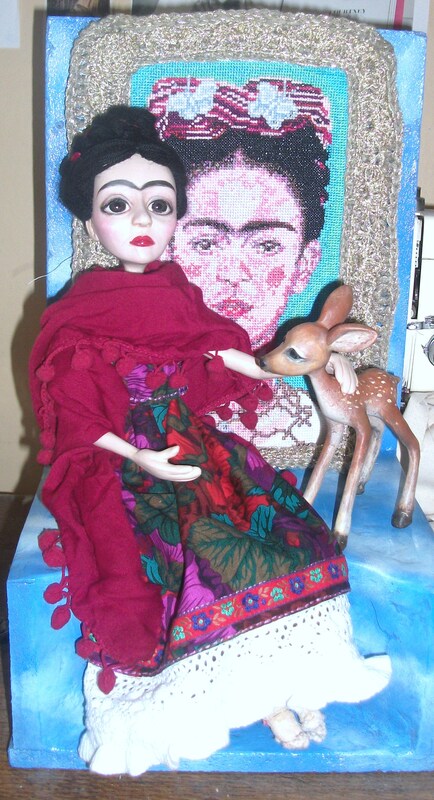 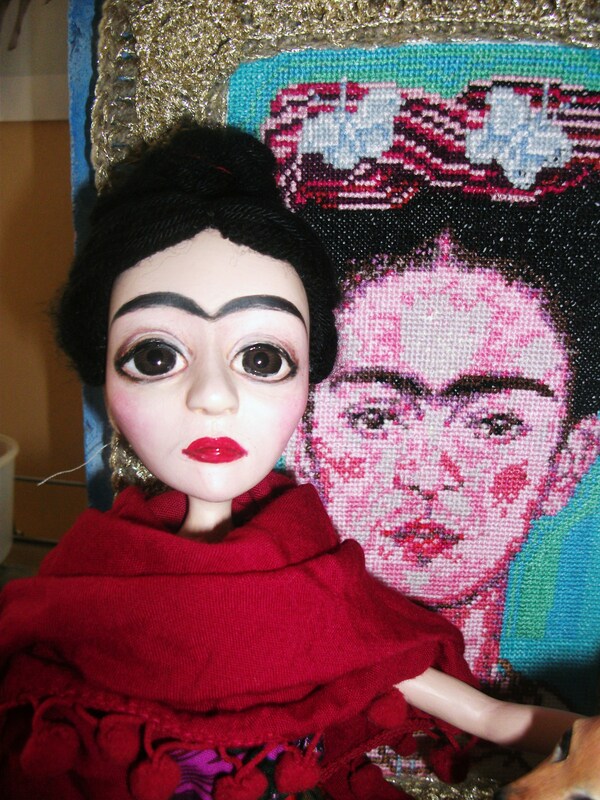 As part of their ‘Love, love me do ‘ valentine’s exhibition Frida and two of my stitch pictures will be exhibited throughout February 2014. 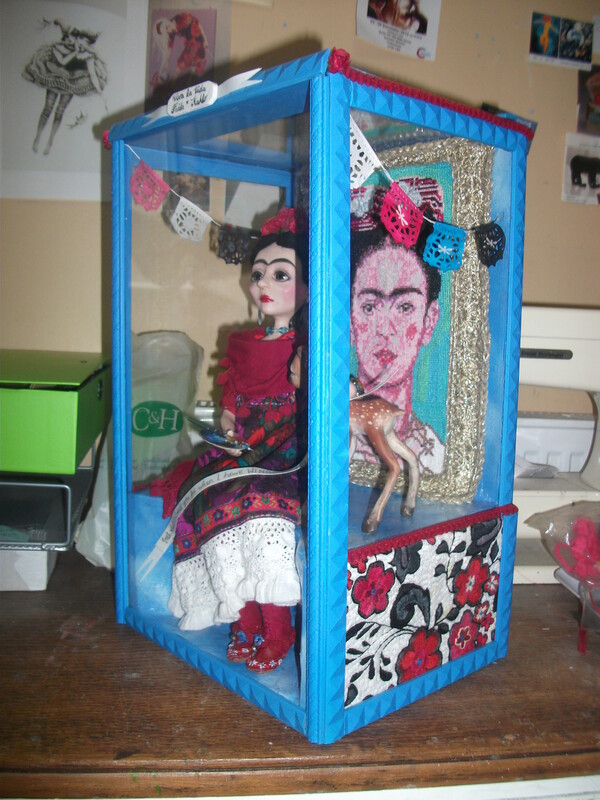 Finished Frida, Goggins the ticket collector and little Birdie! 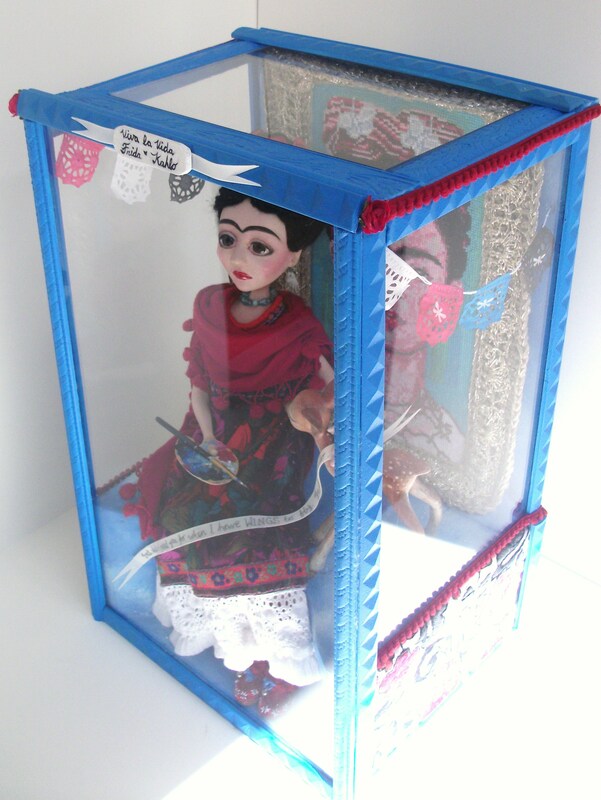 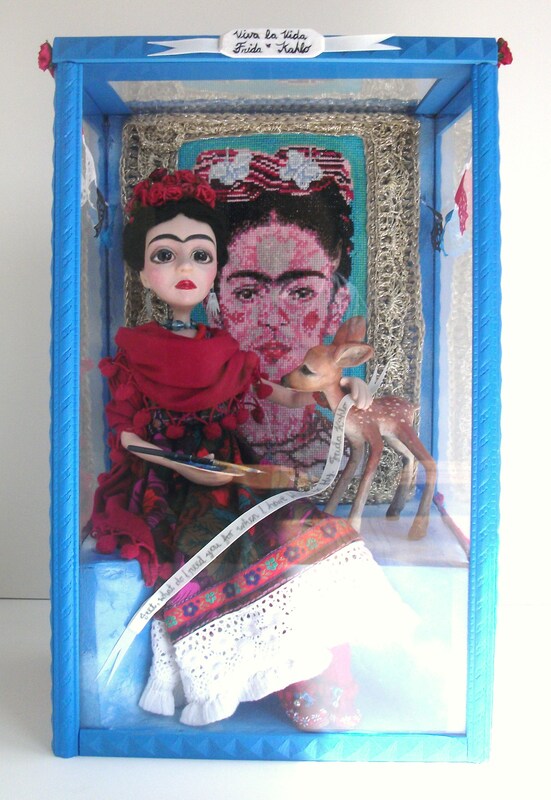 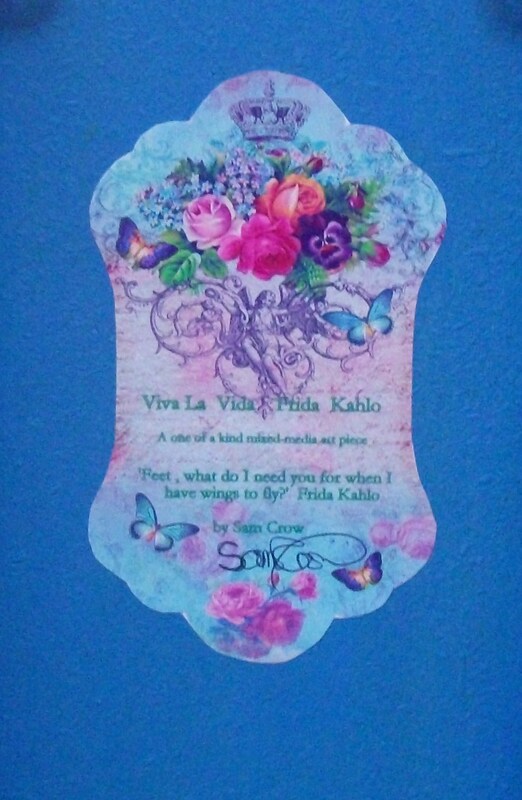 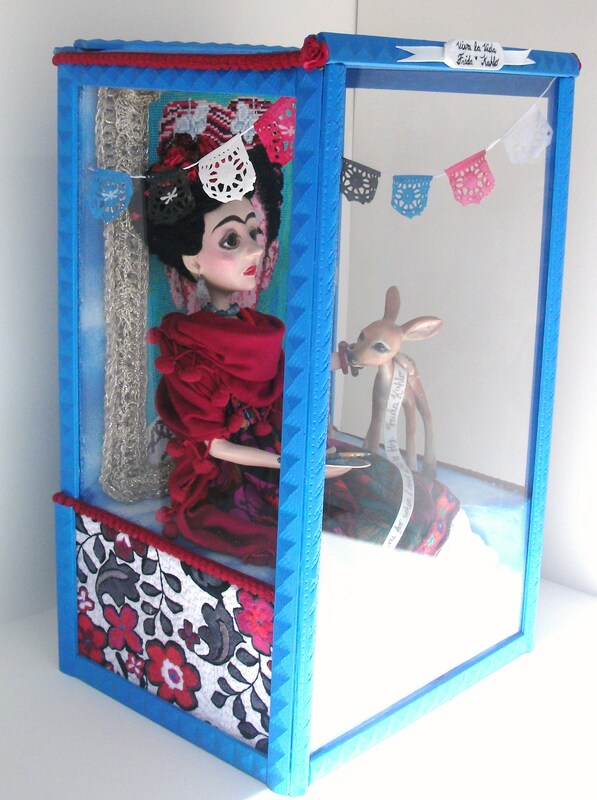 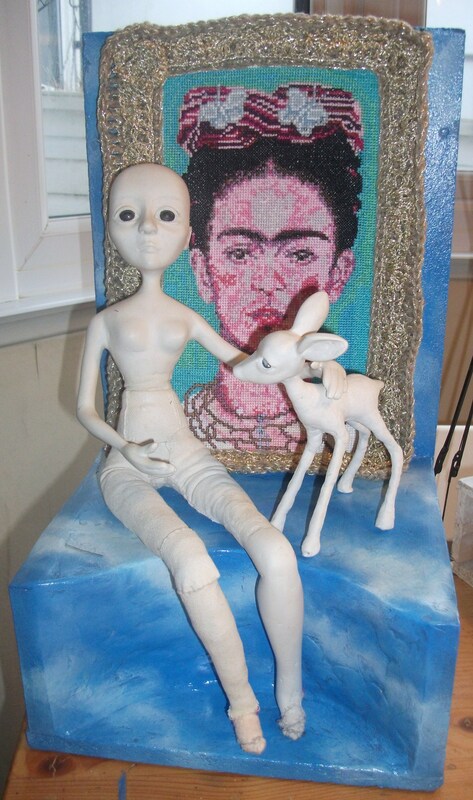 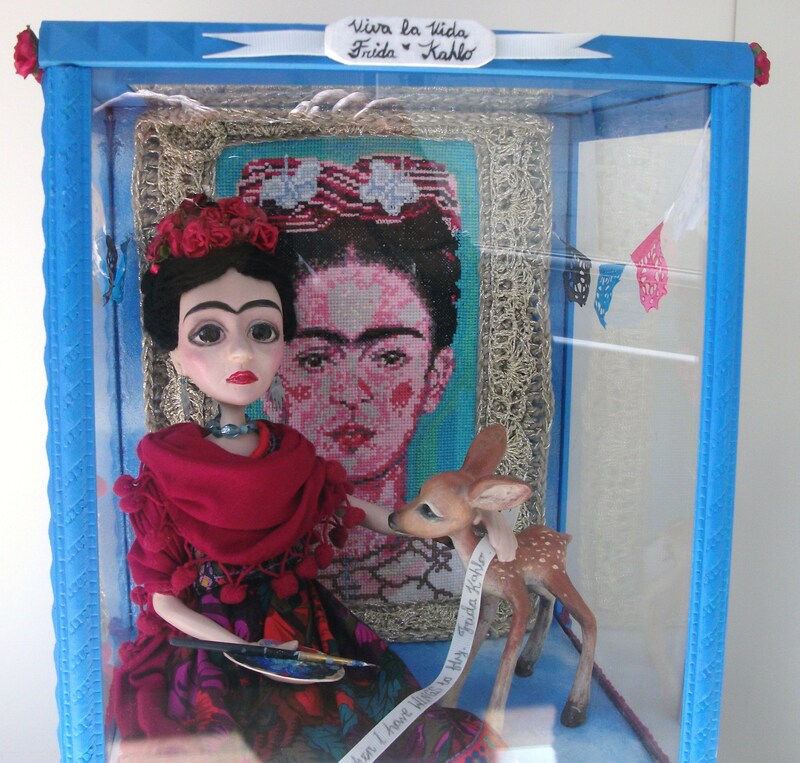 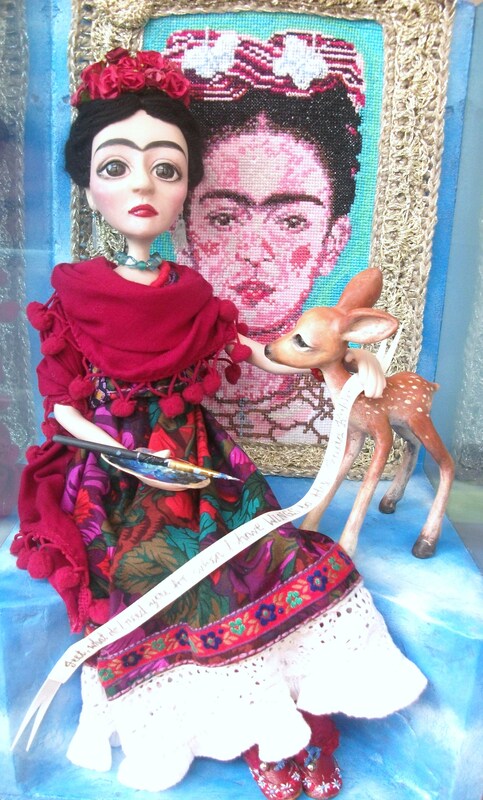 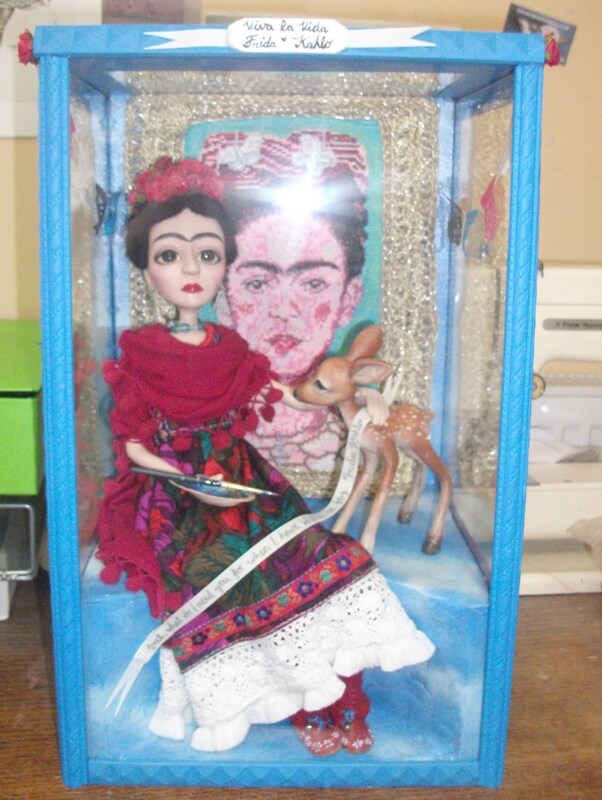 Frida’s box measures 43cm/17 inch tall x 27 cm/ 10.5 inch wide and 24cm/ 9.5 inch deep. 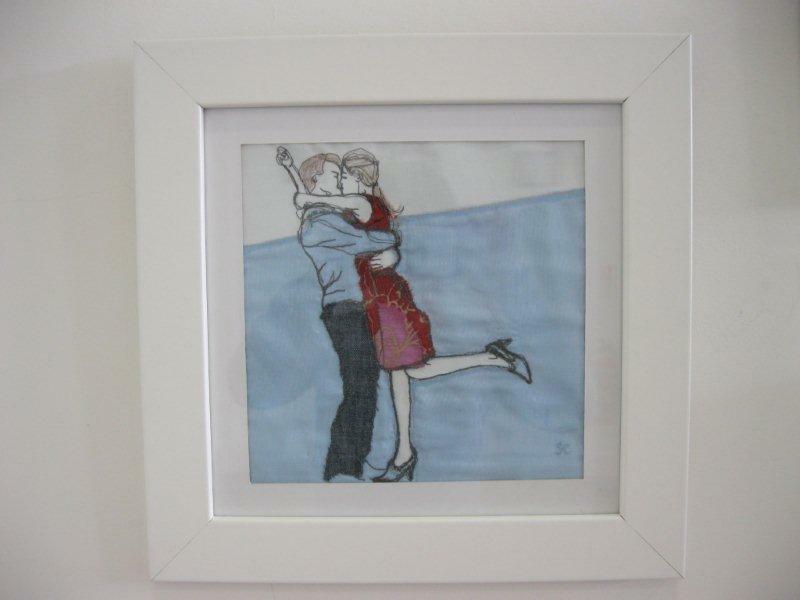 It is either free standing or can be hung on the wall. 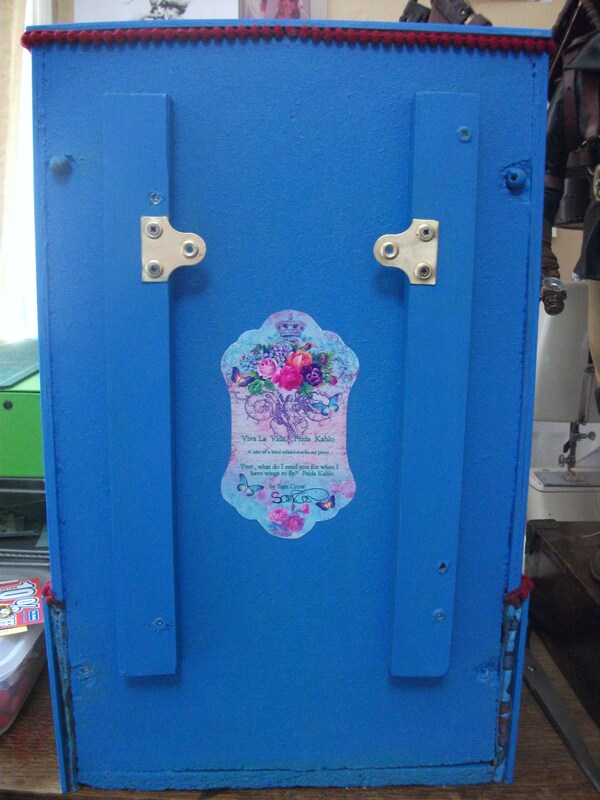 and is signed on the back! 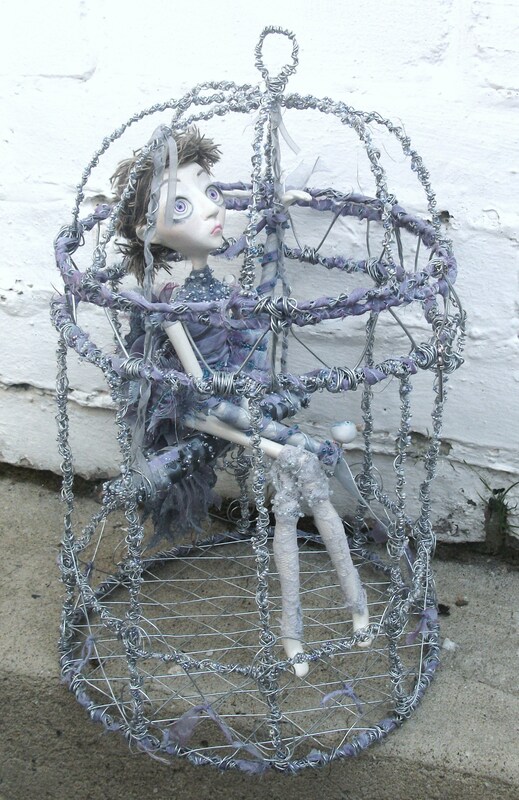 She is made from clay over a wire frame, as is the bird in her hand. 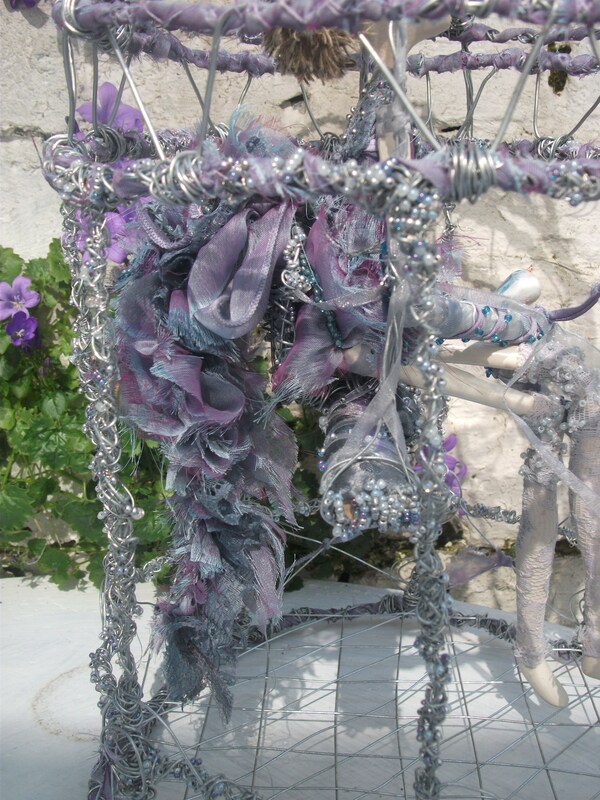 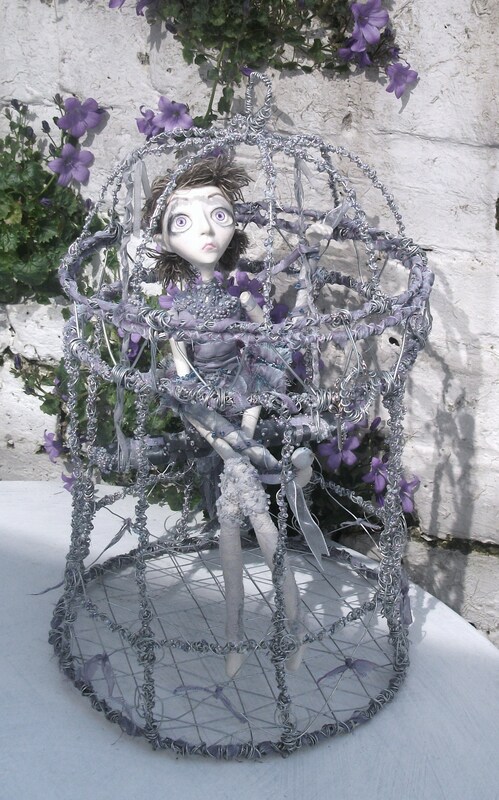 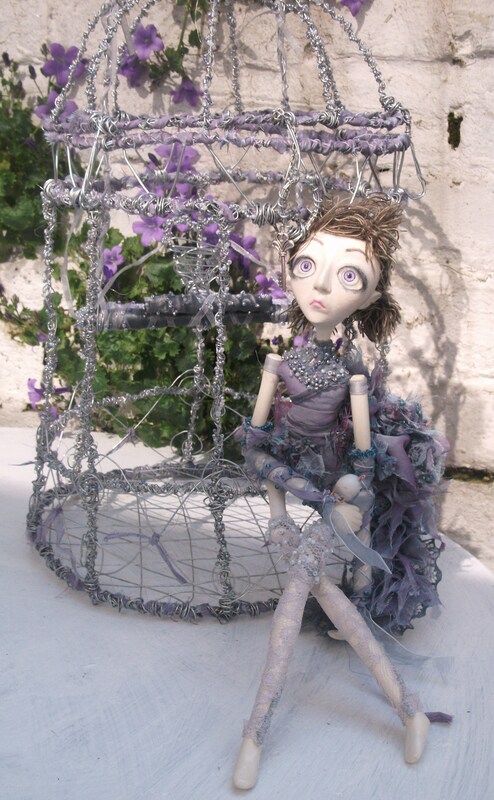 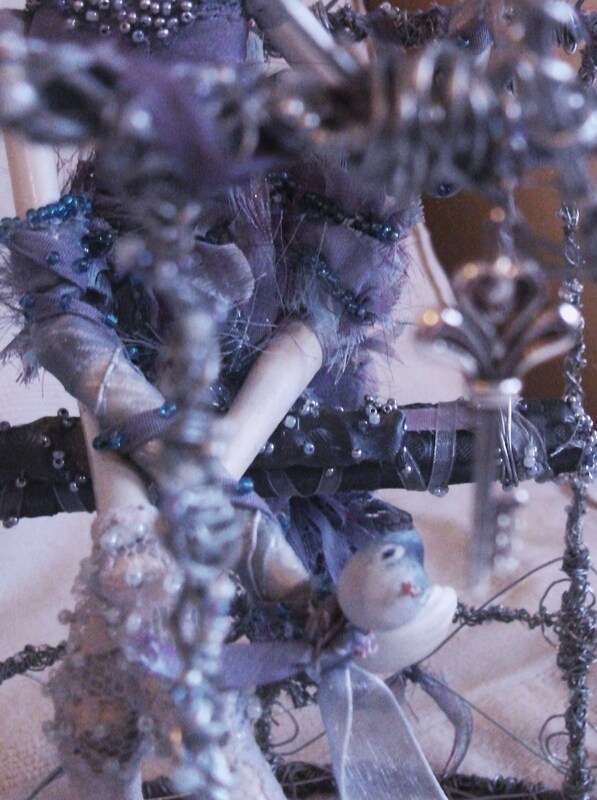 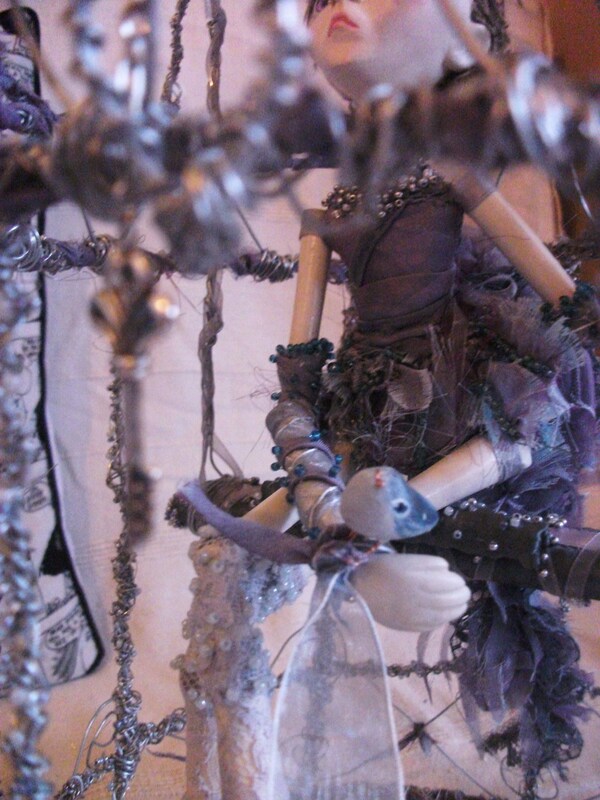 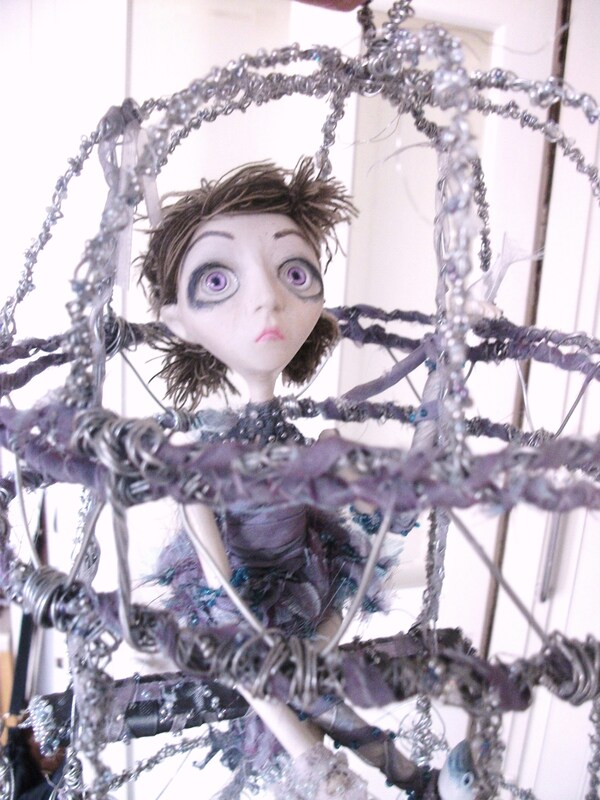 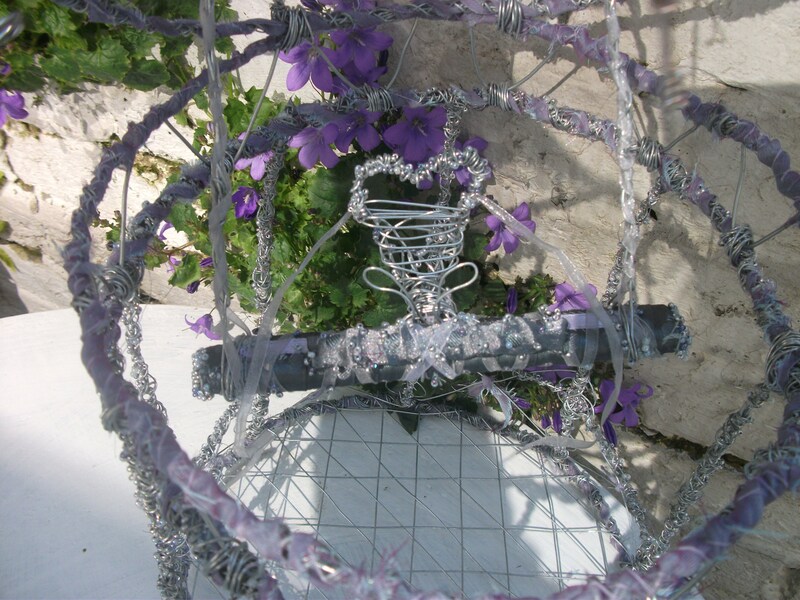 Her cage and swing are made from wire, beads and ribbon. 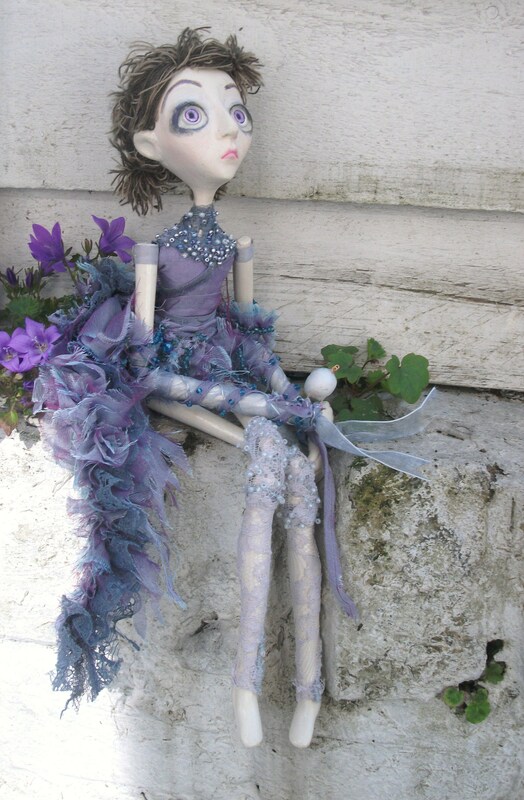 Her outfit is handsewn with handsewn beadwork and her feathery tail is made from fabric and beads. 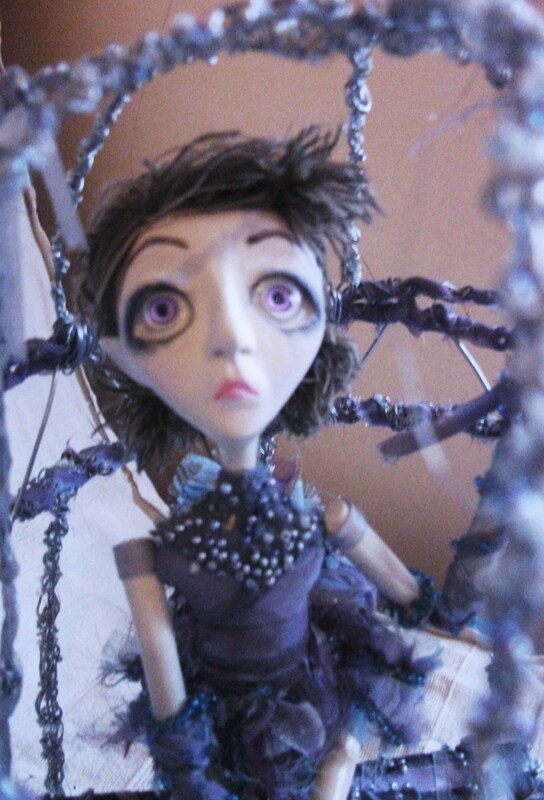 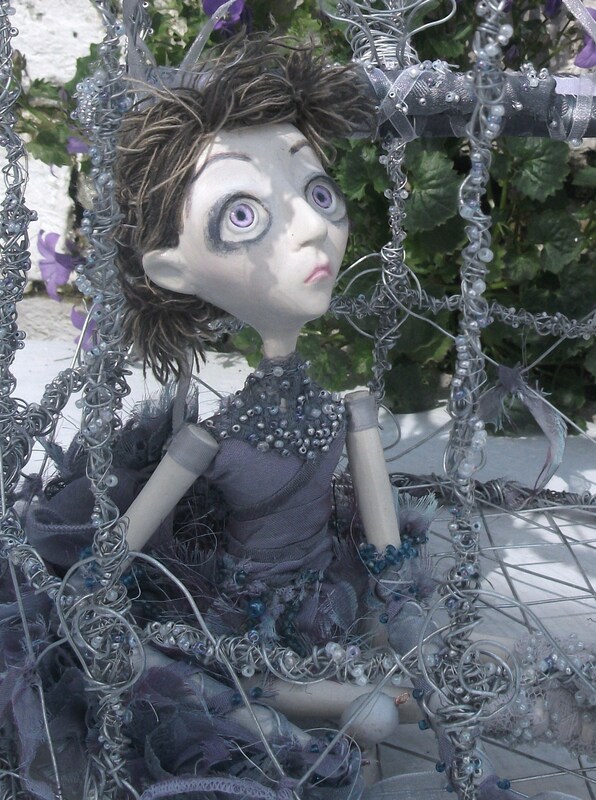 She is a one of a kind art doll and is not made for children due to small parts and wire! 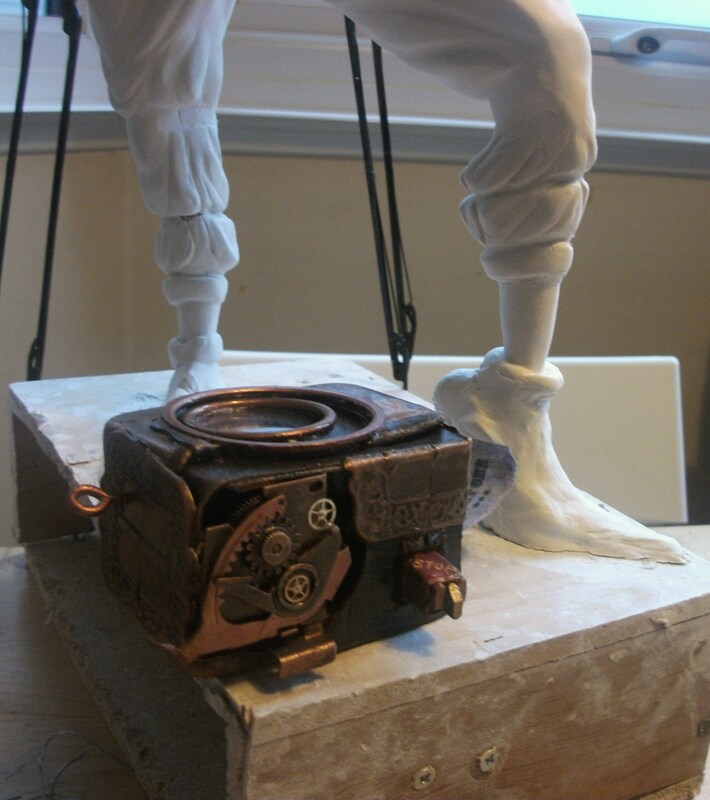 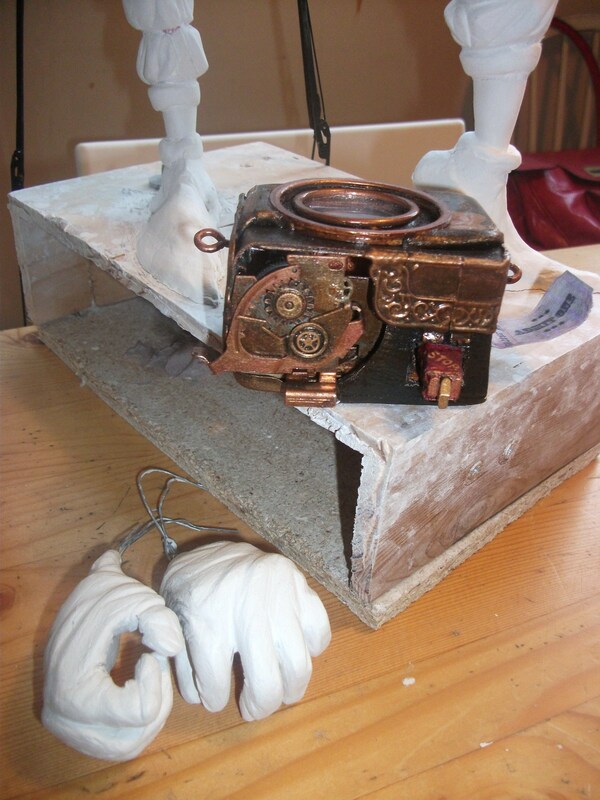 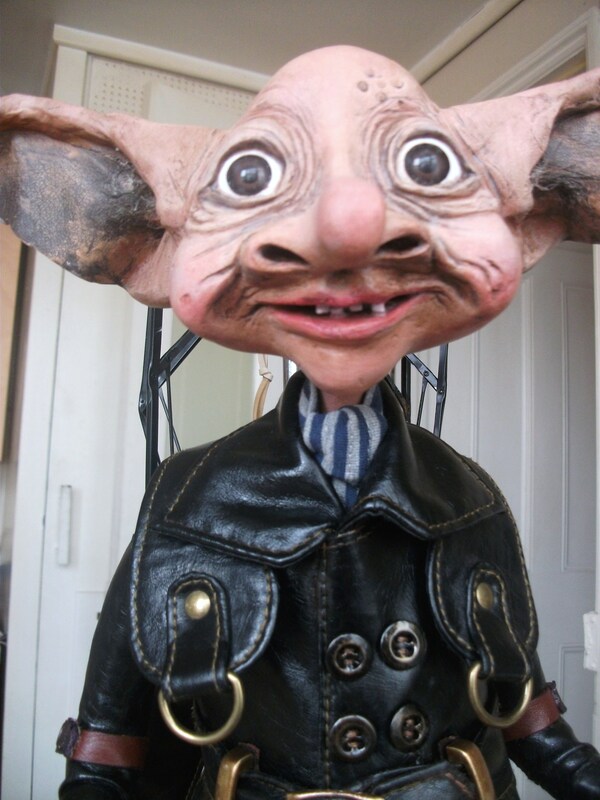 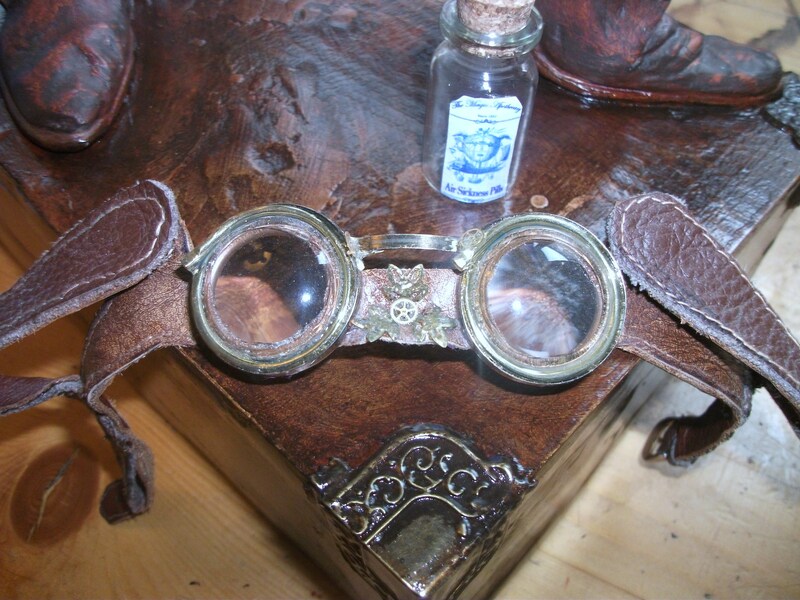 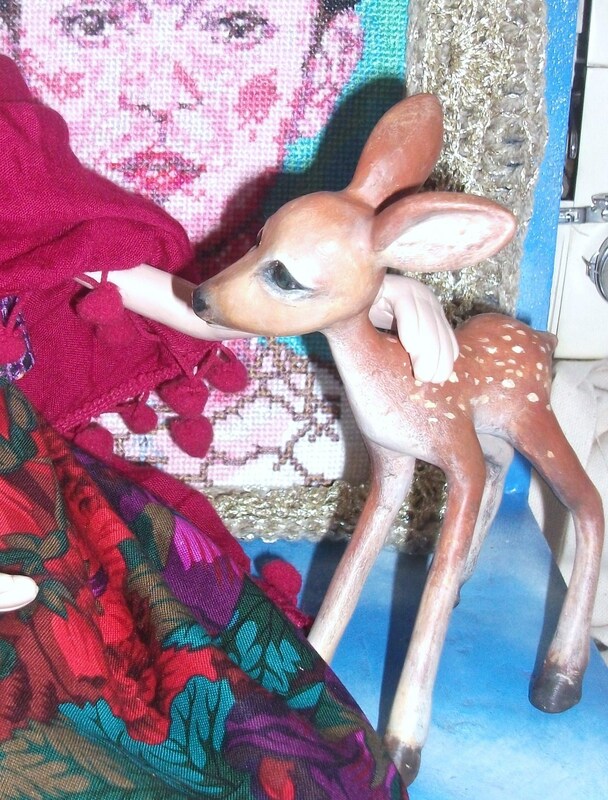 busy working on two new sculptural pieces…. 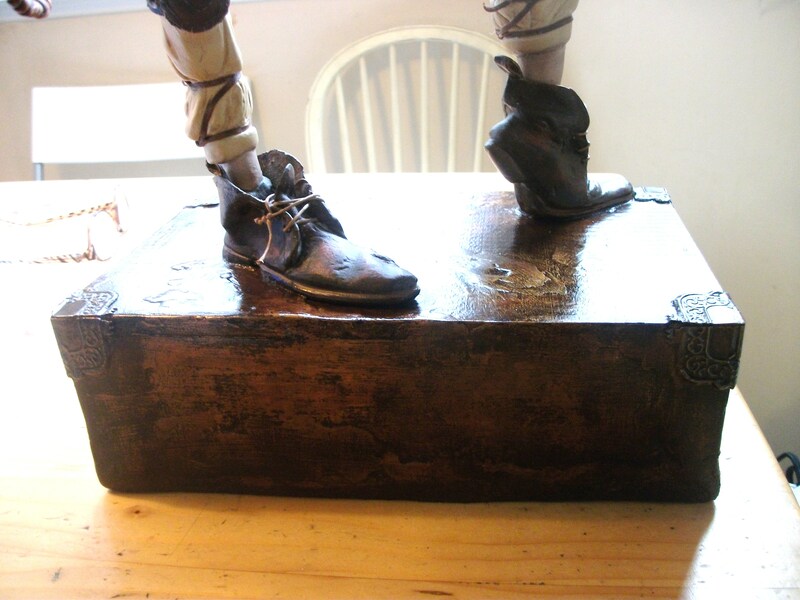 …for the box base, which i have painted in acrylic like clouds. 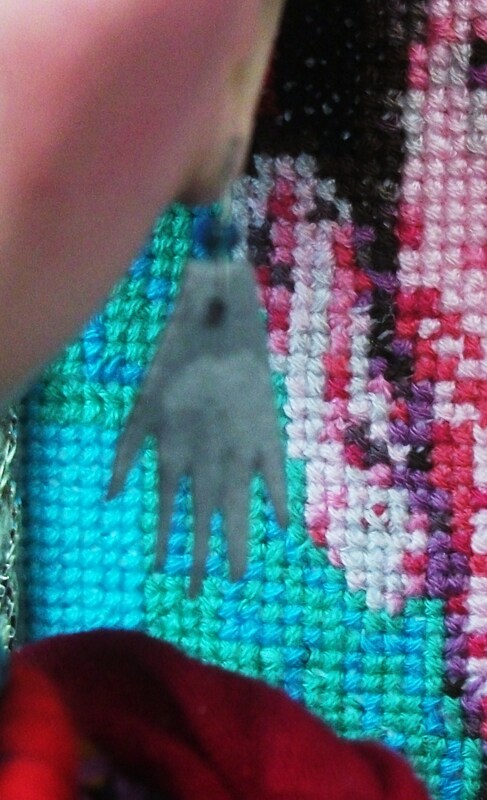 Her right hand is in a wierd postion because she will be holding something! 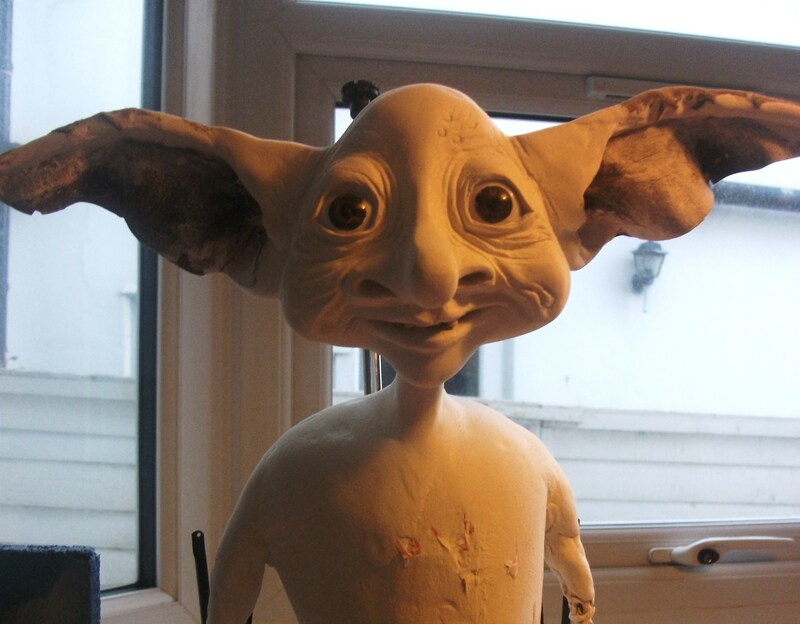 still got lots to do! 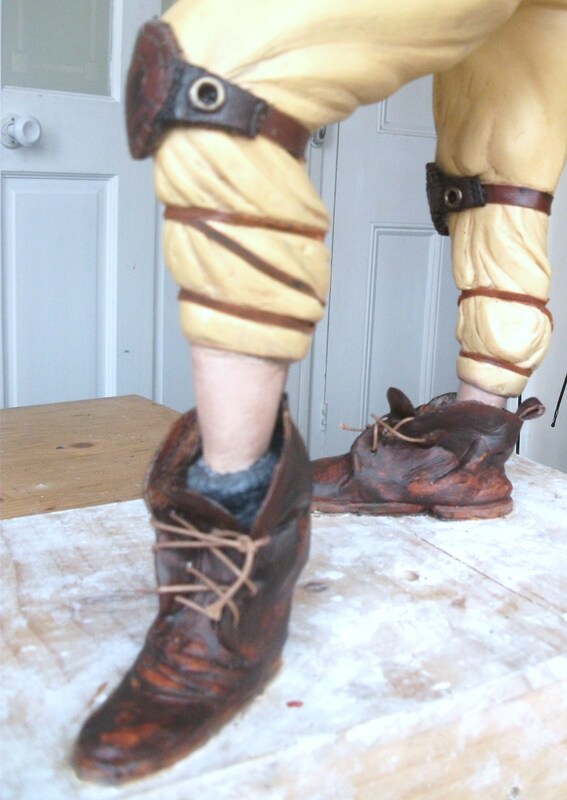 Keep checking back here as I will update scrolling down. 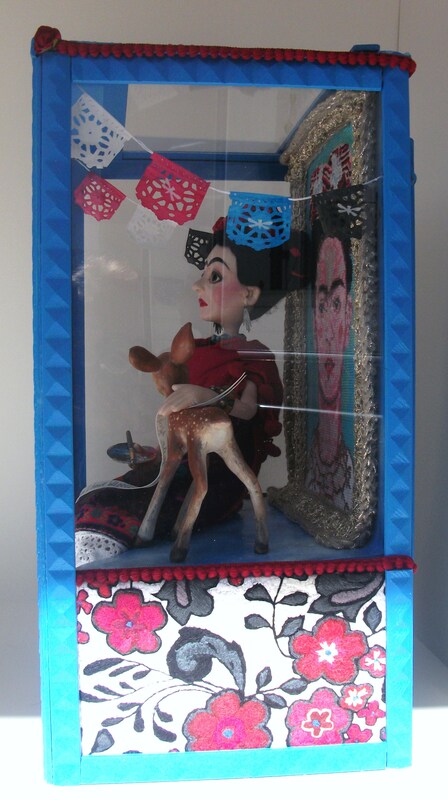 She’s finished! 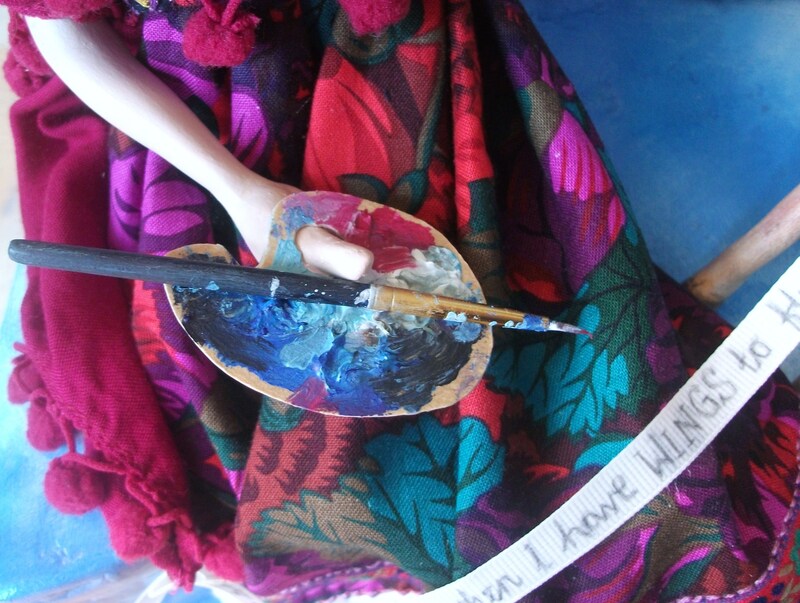 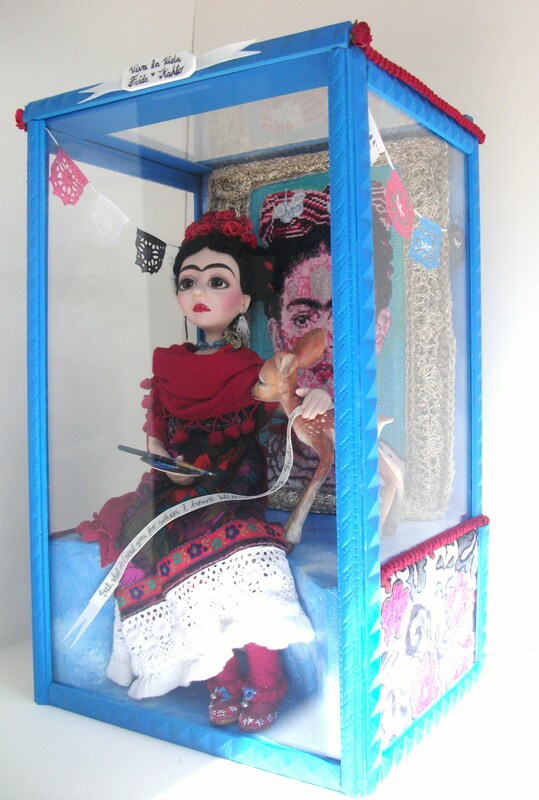 Just have to work on the box now… the white ribbon has a Frida Quote ” Feet, what do I need you for when I have wings to fly.” Her red boots have embroidered flowers on the toes and little bells tied with blue ribbon. 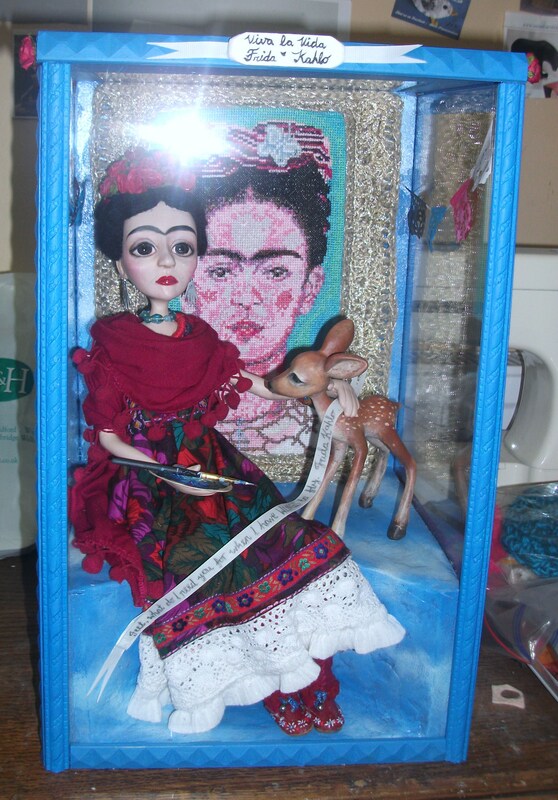 She is now all finished!!! 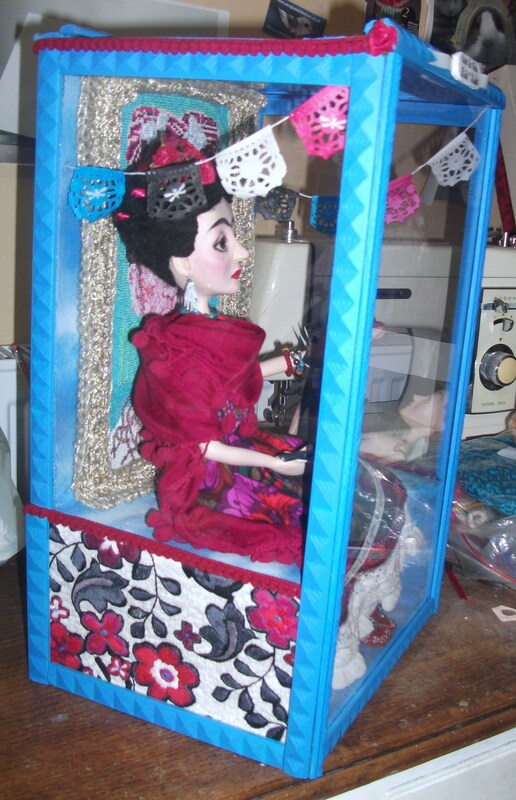 the box has three clear sides and a clear perspex roof to allow lots of light! 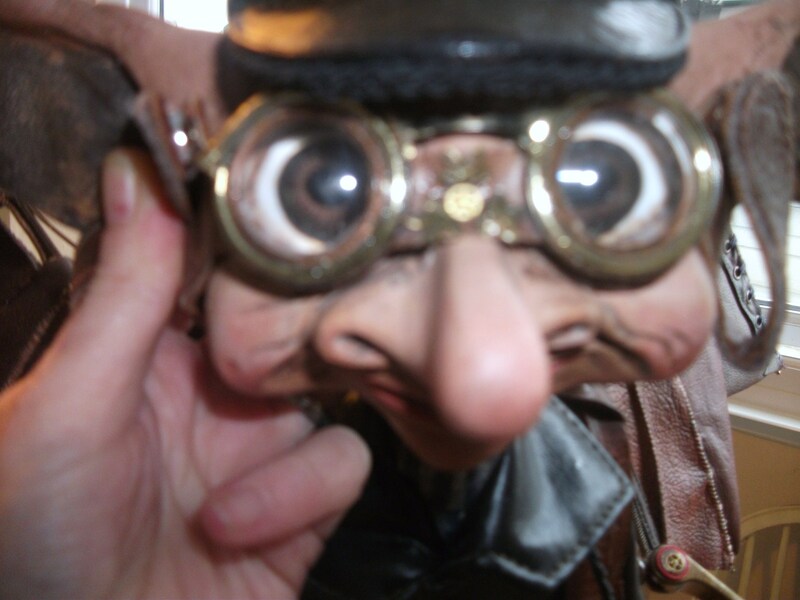 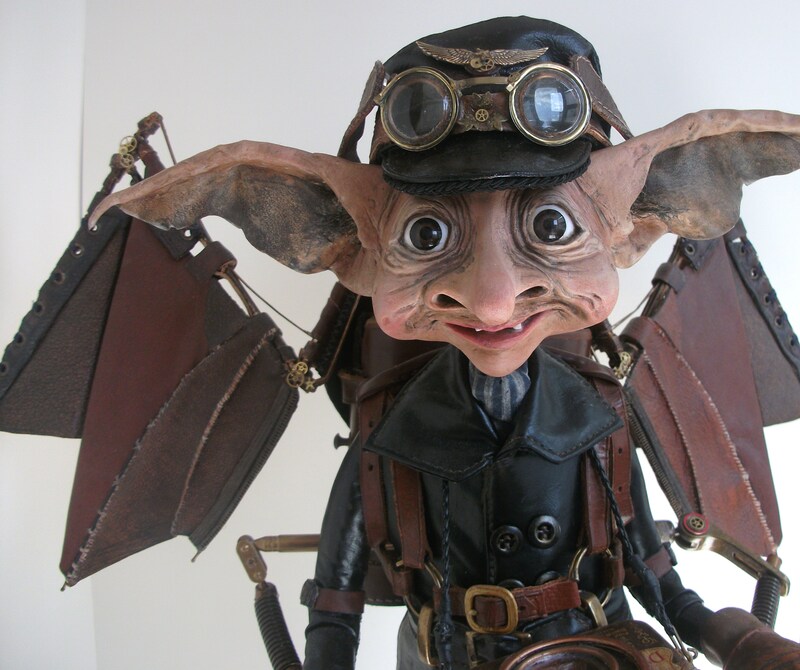 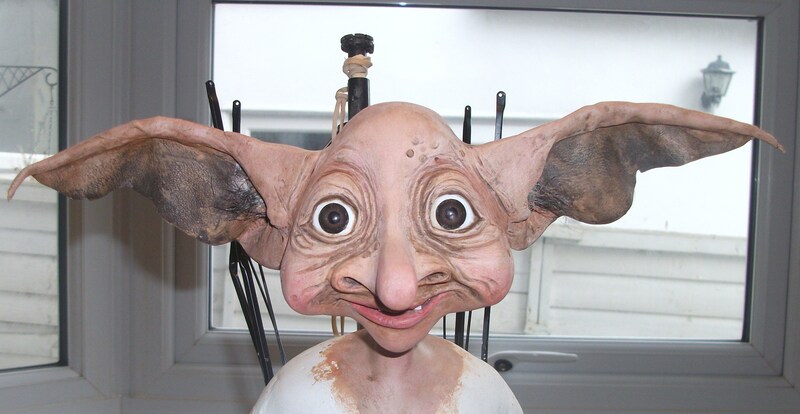 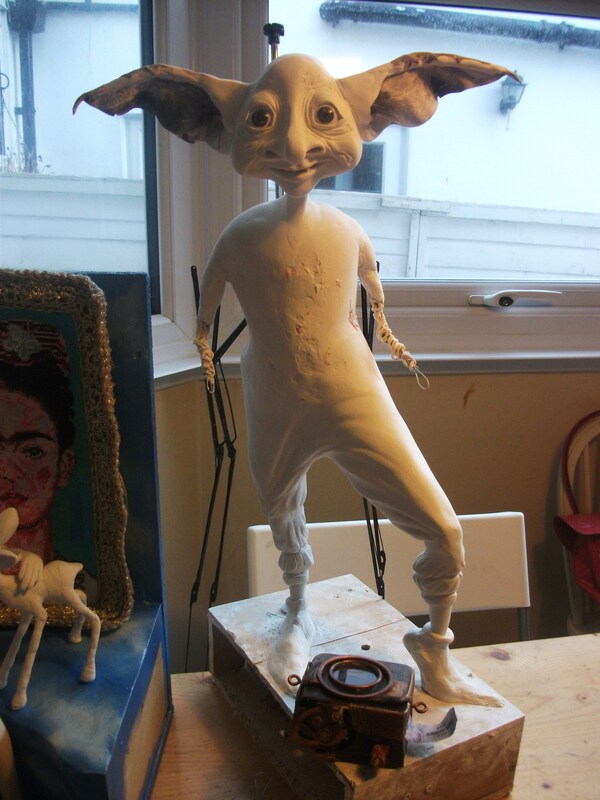 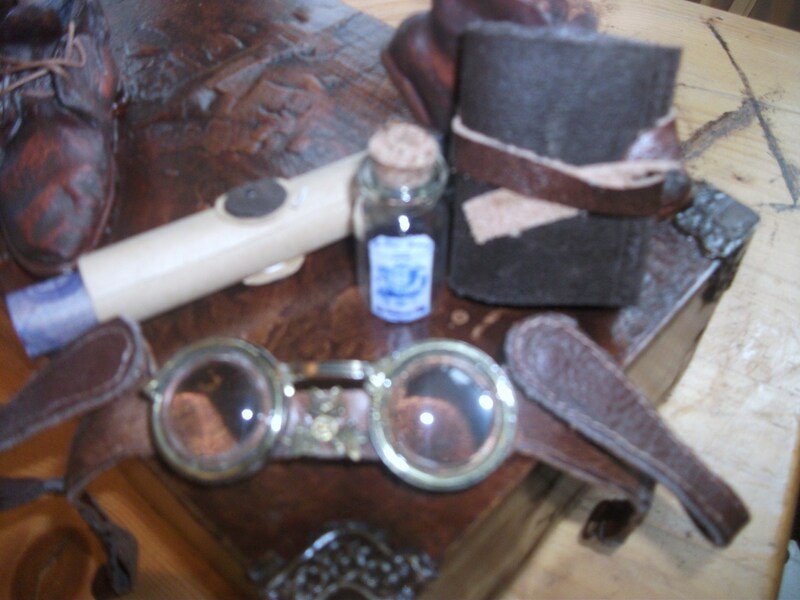 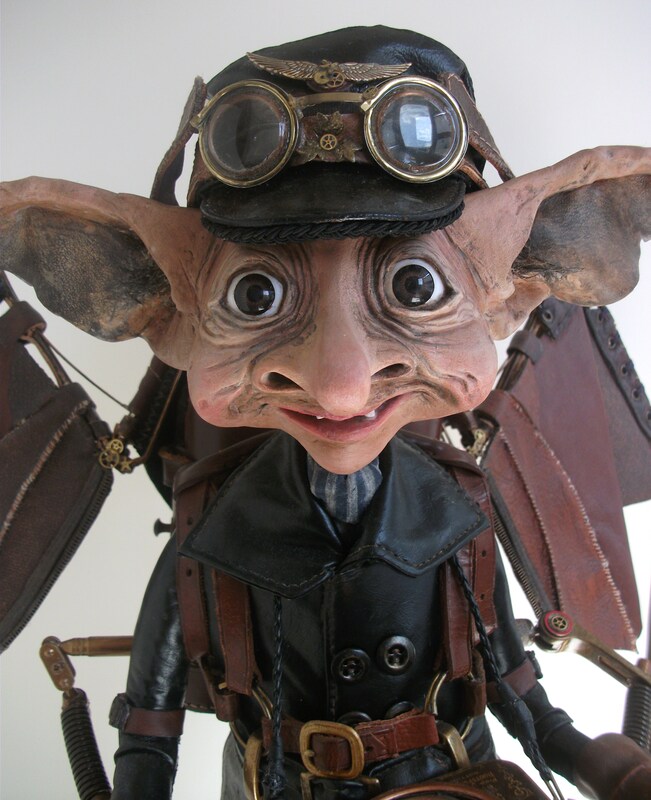 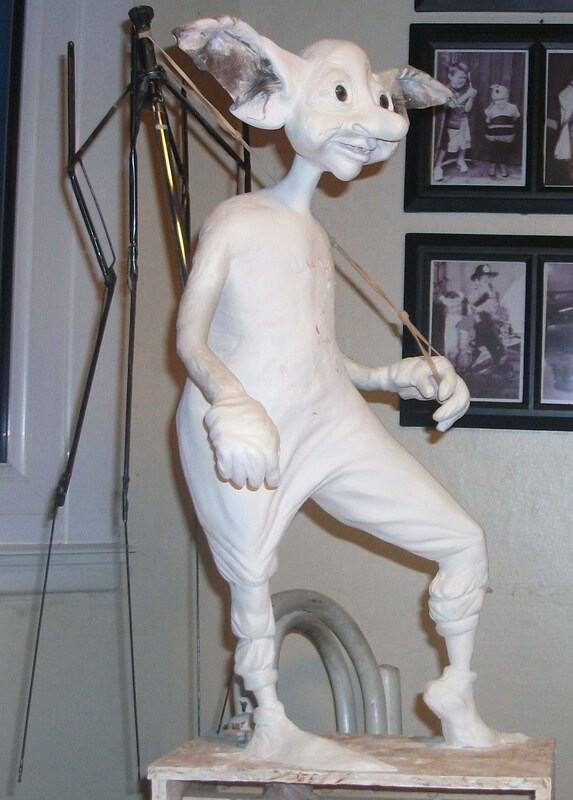 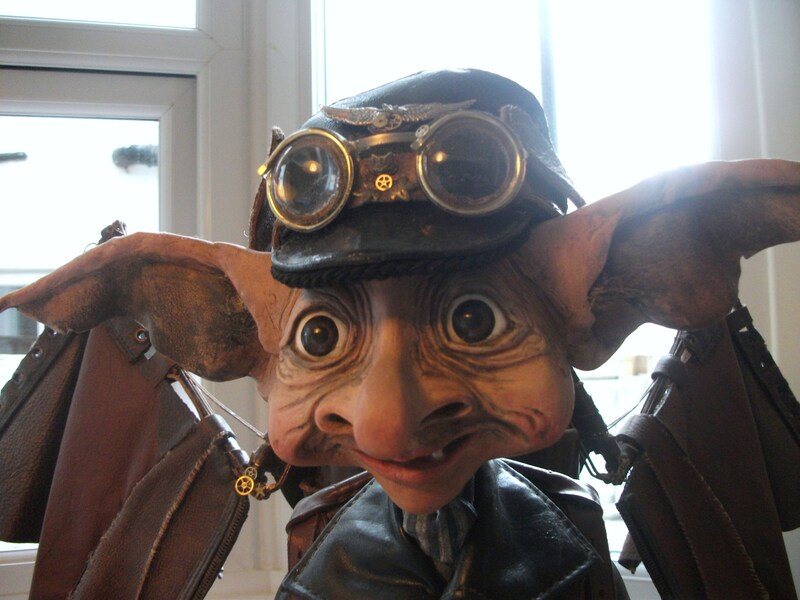 …his face is ready to paint and he is waiting patiently for me to make his hat and goggles! 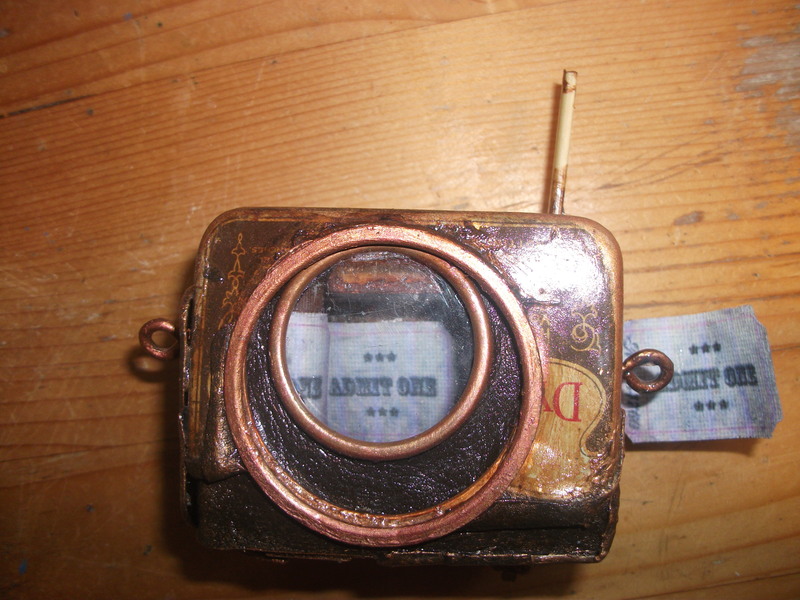 and when the button is pushed, the red stop sign moves in and reveals a green go sign. 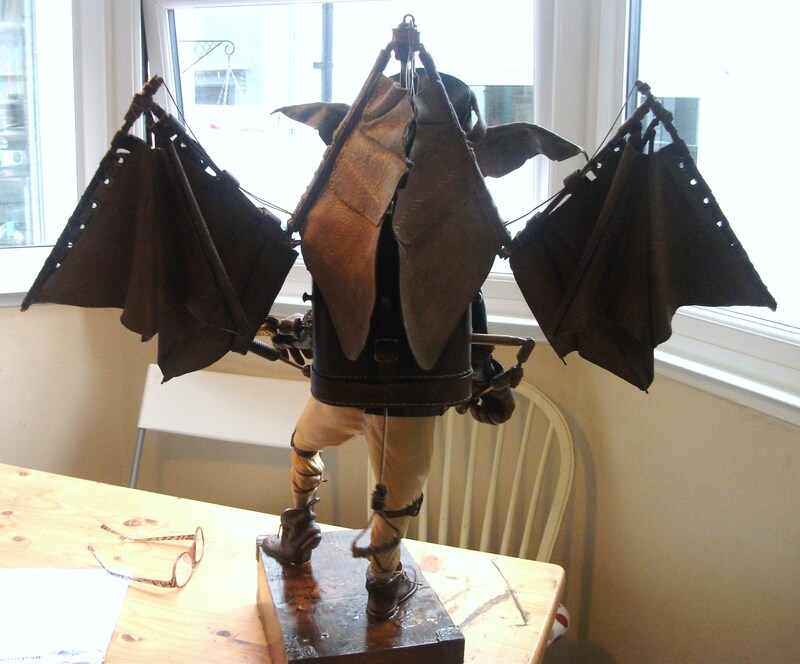 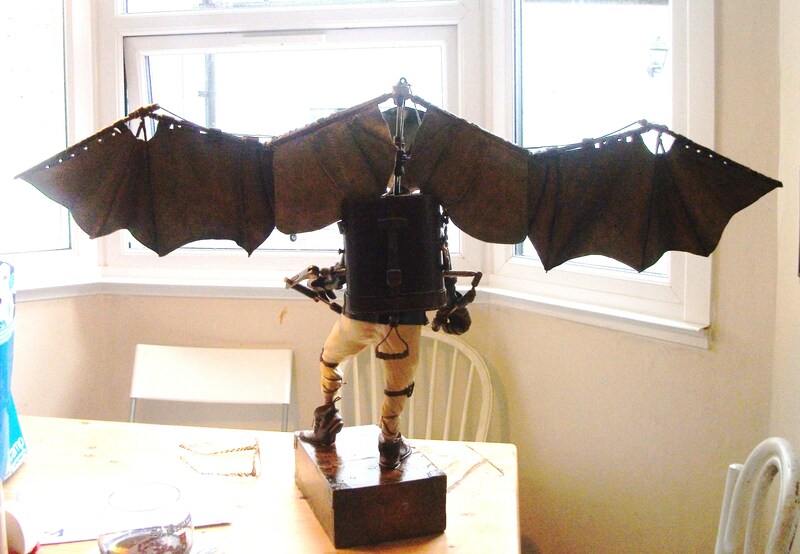 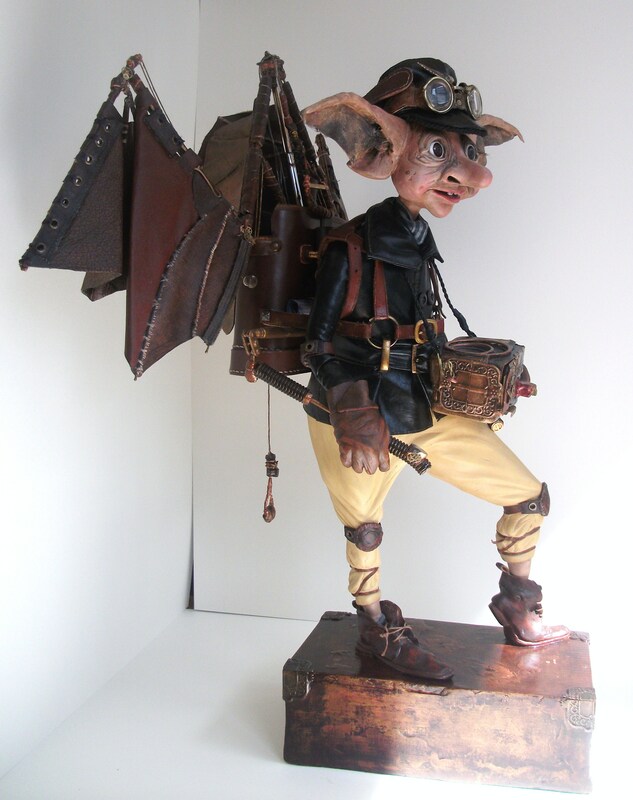 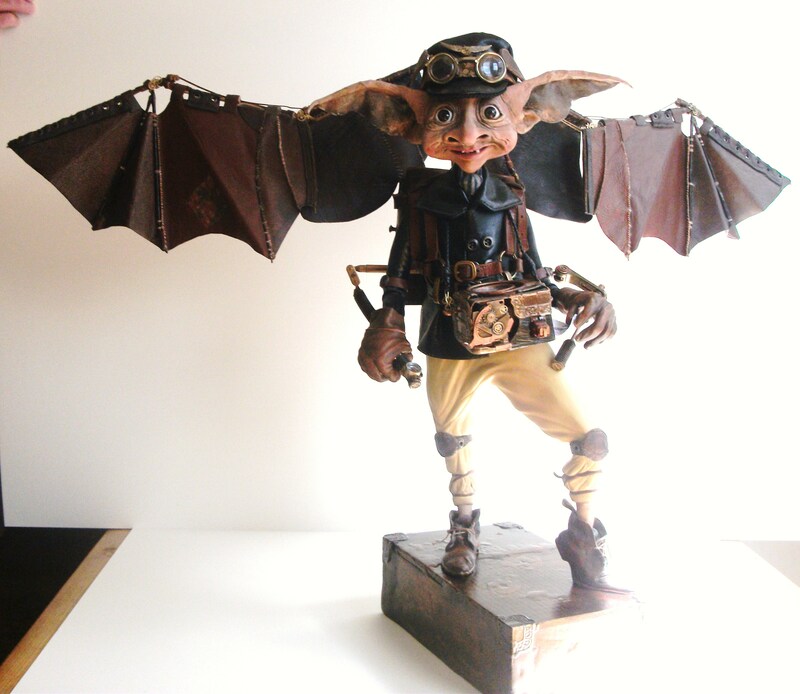 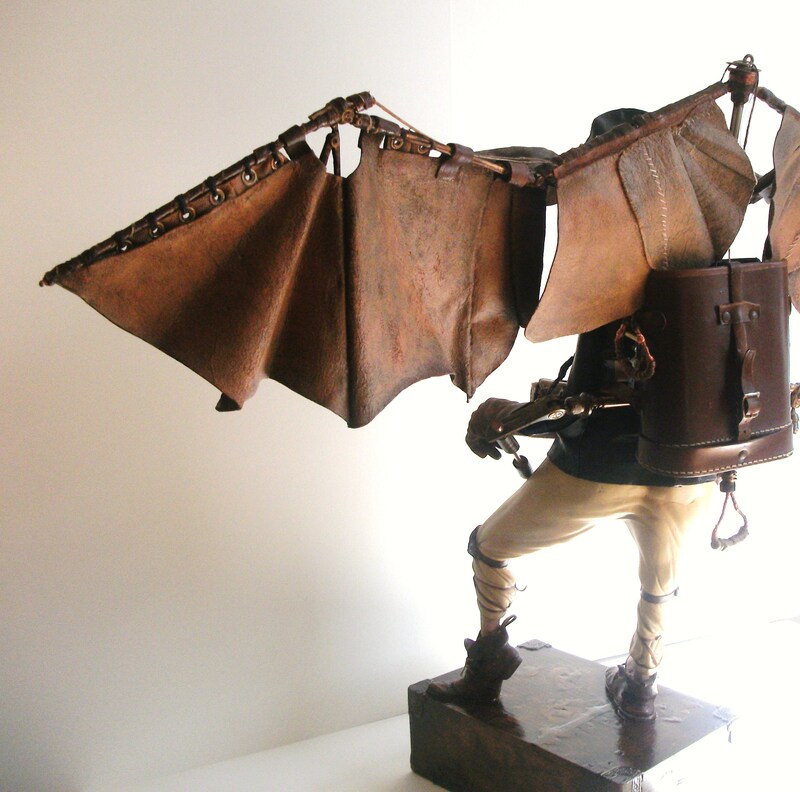 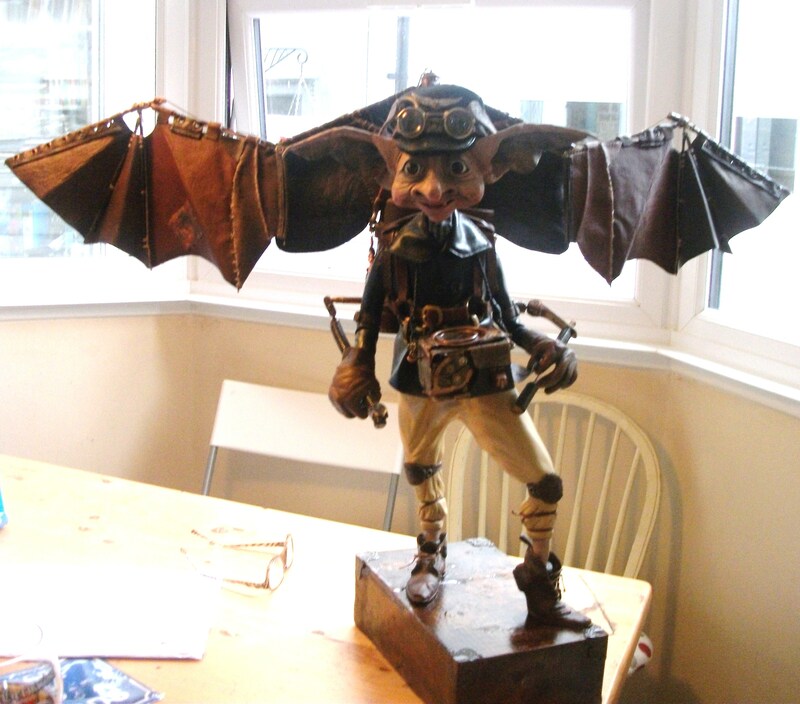 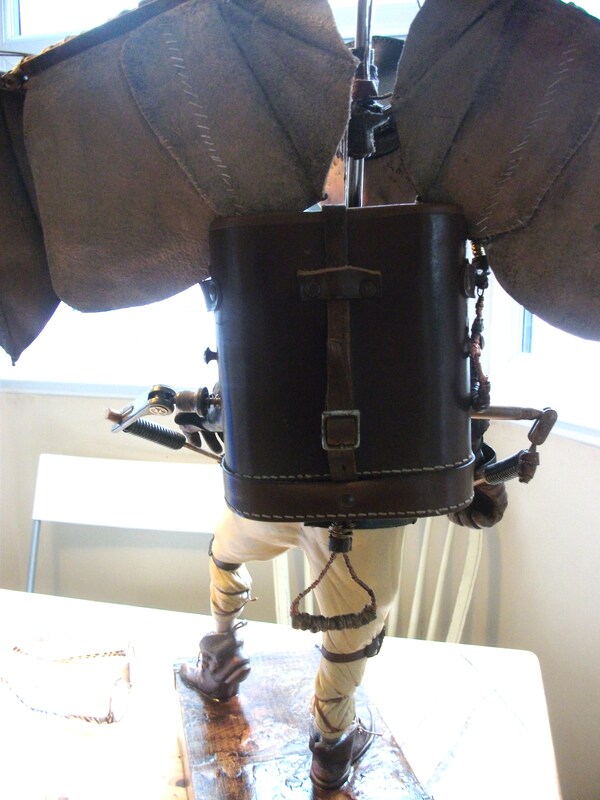 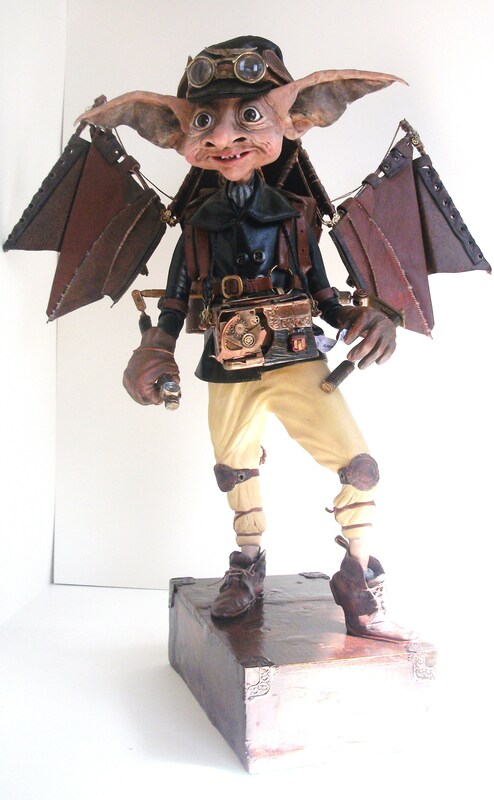 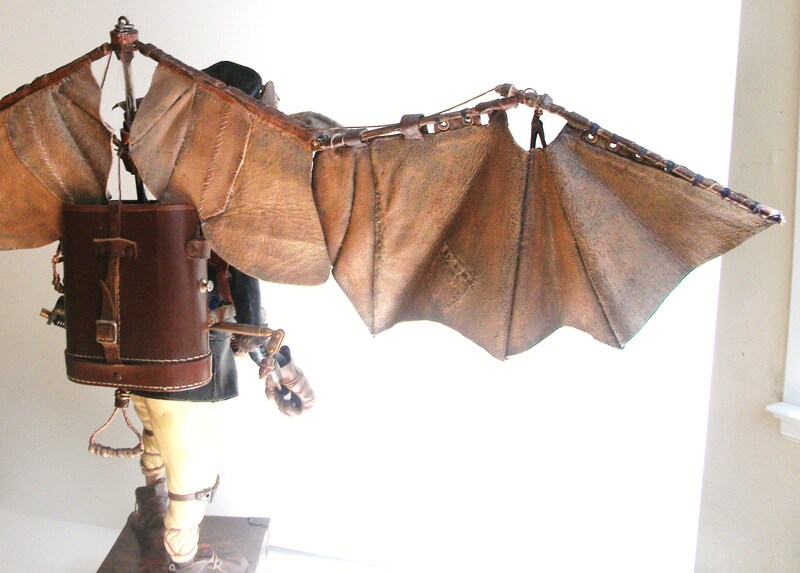 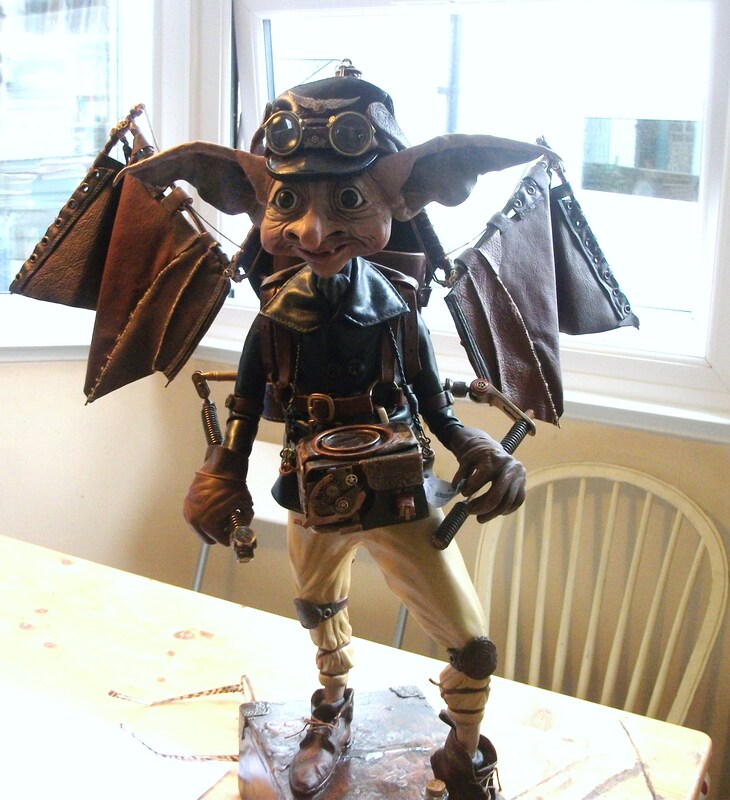 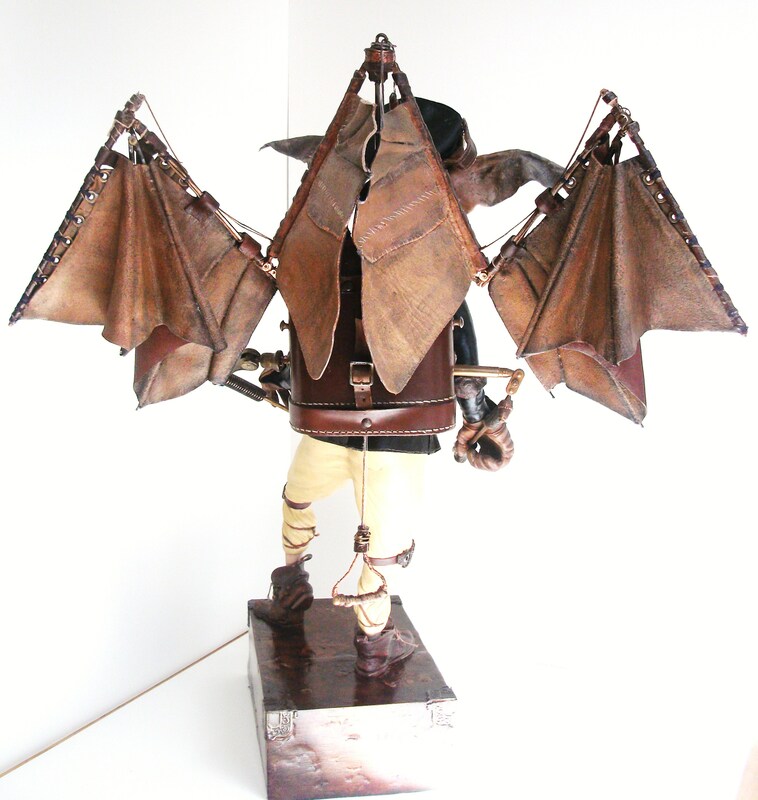 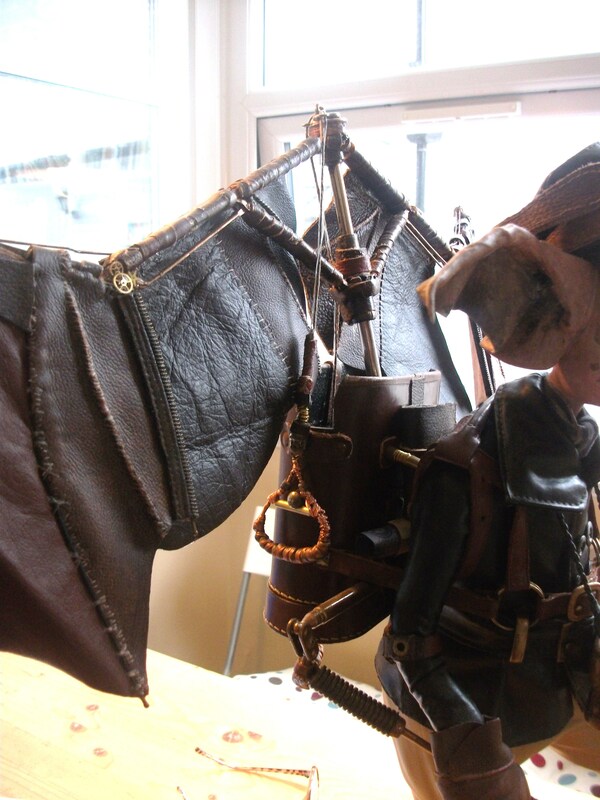 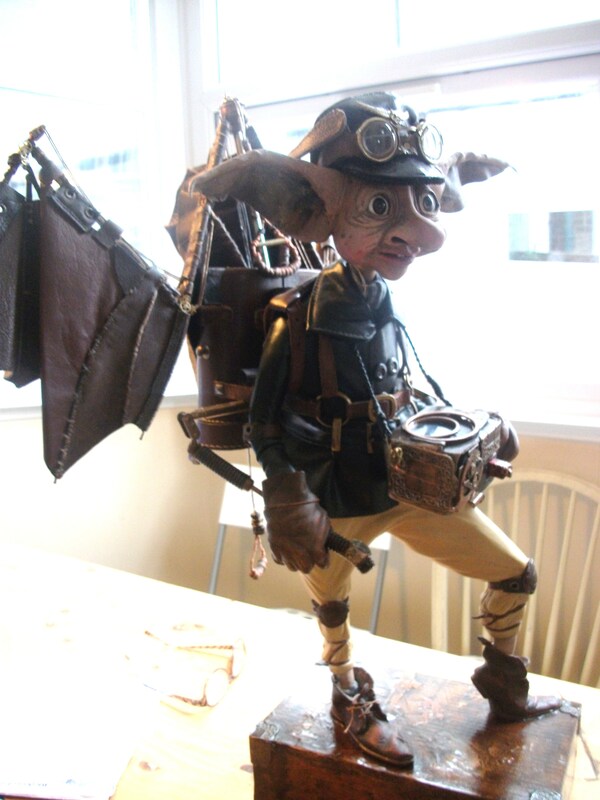 …are now attatched and ready to paint…then he needs his jacket…and of course, his wings, which will open and close! 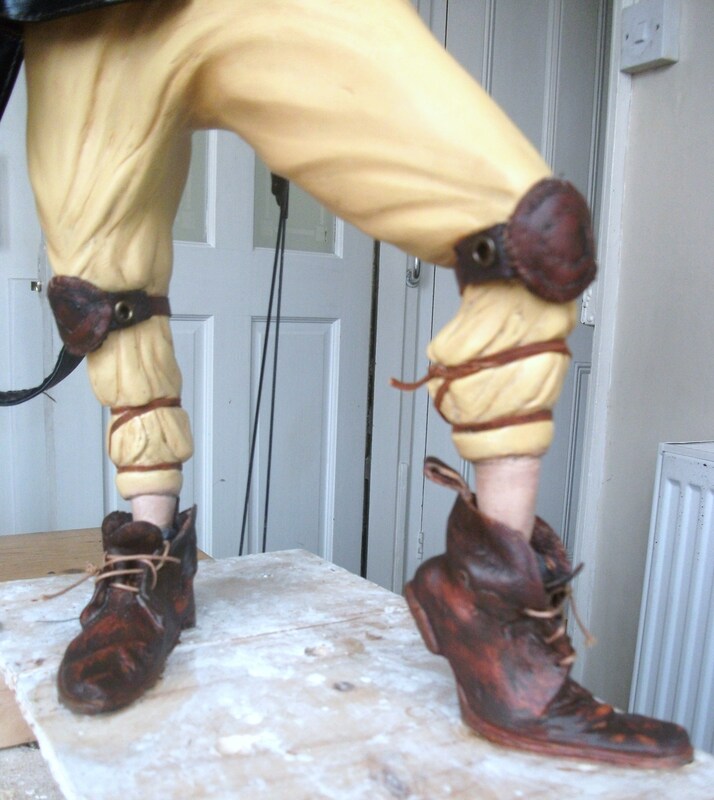 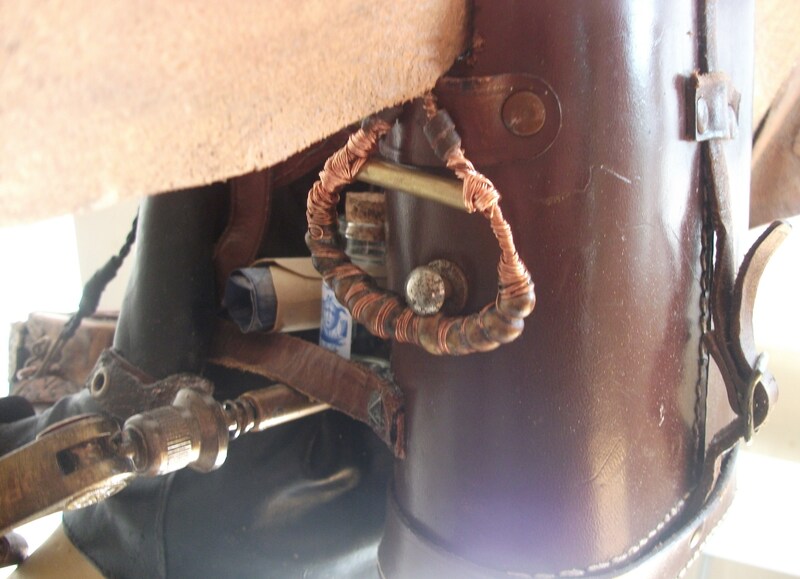 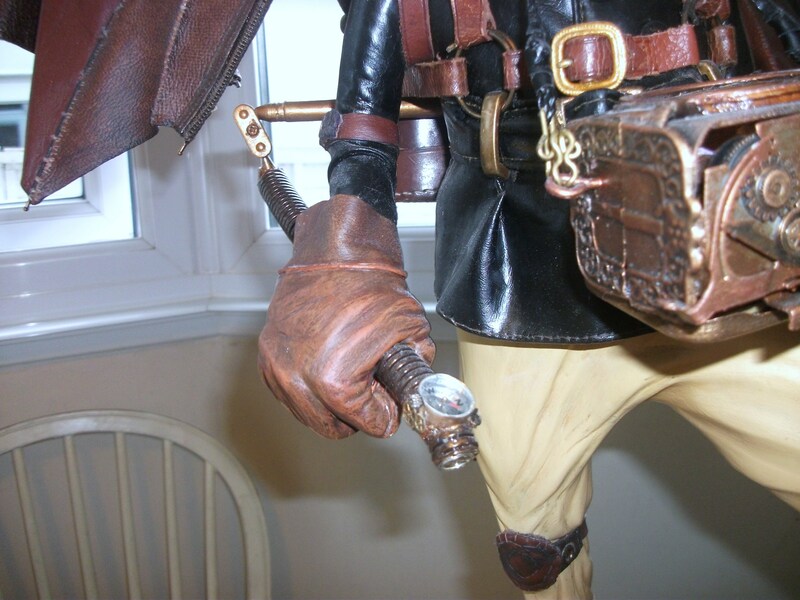 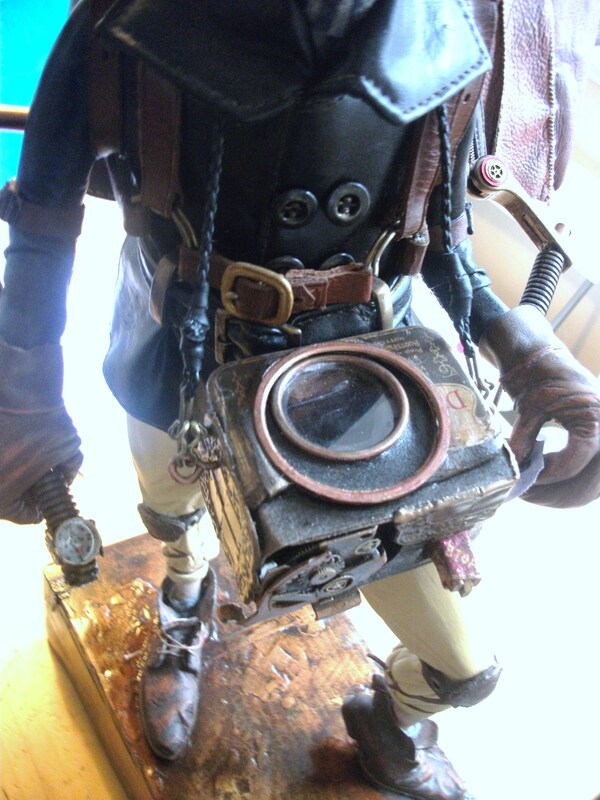 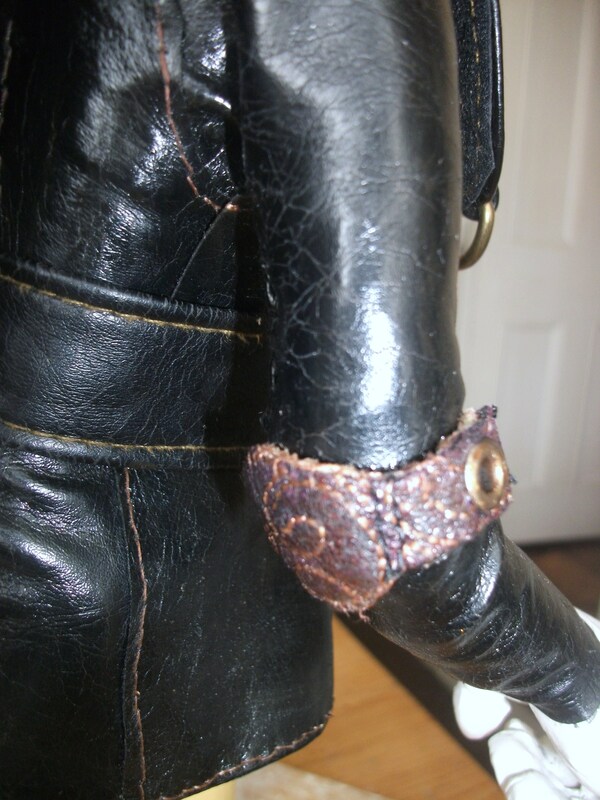 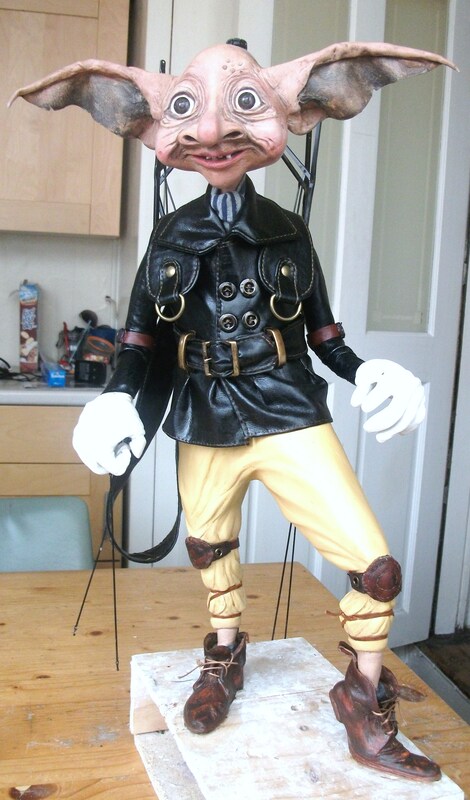 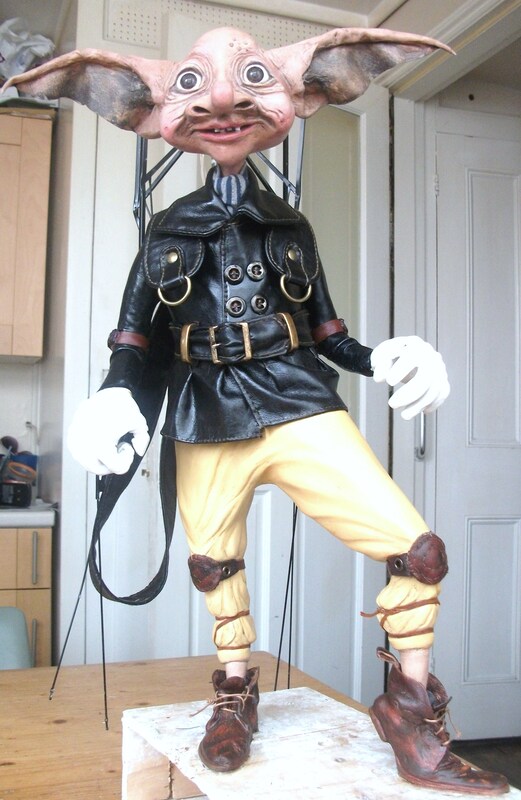 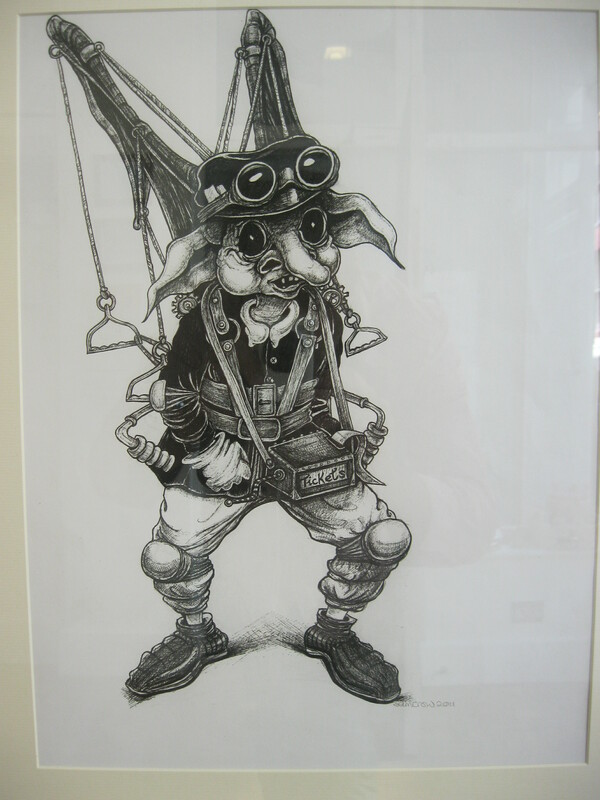 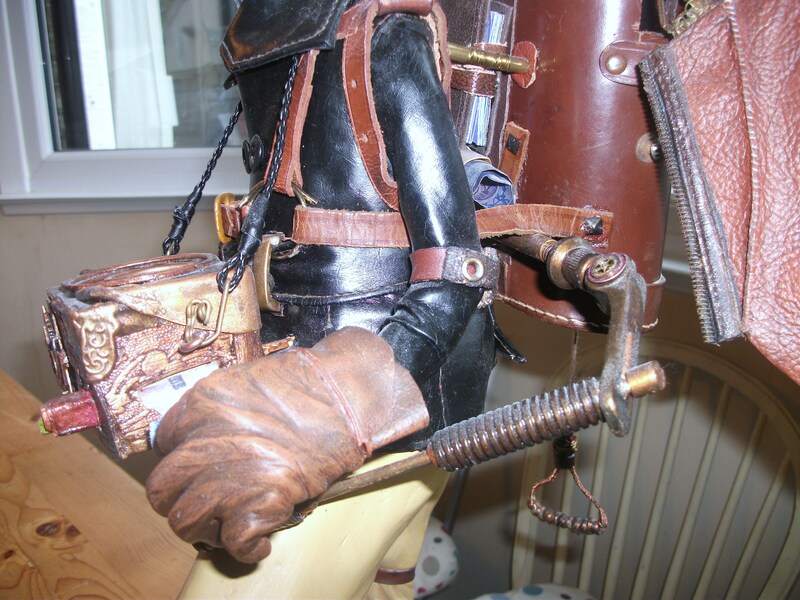 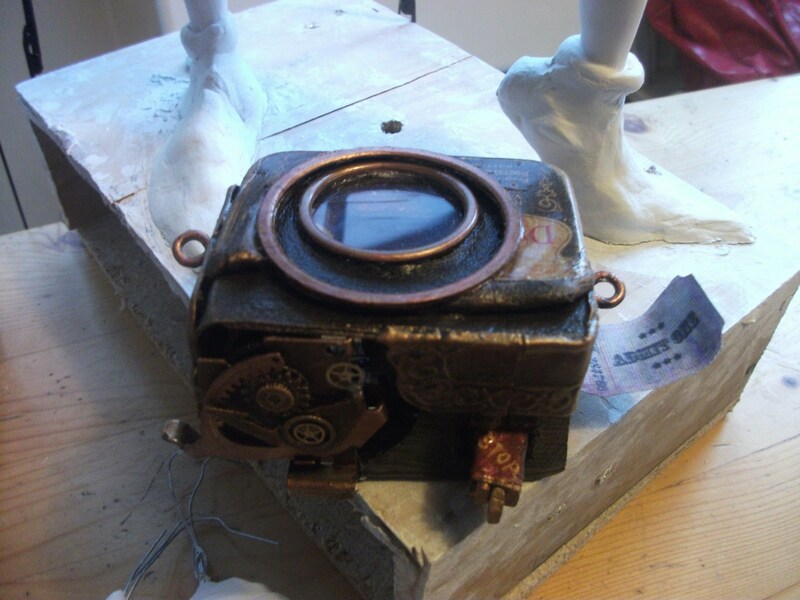 Finished his boots and knee pads…. 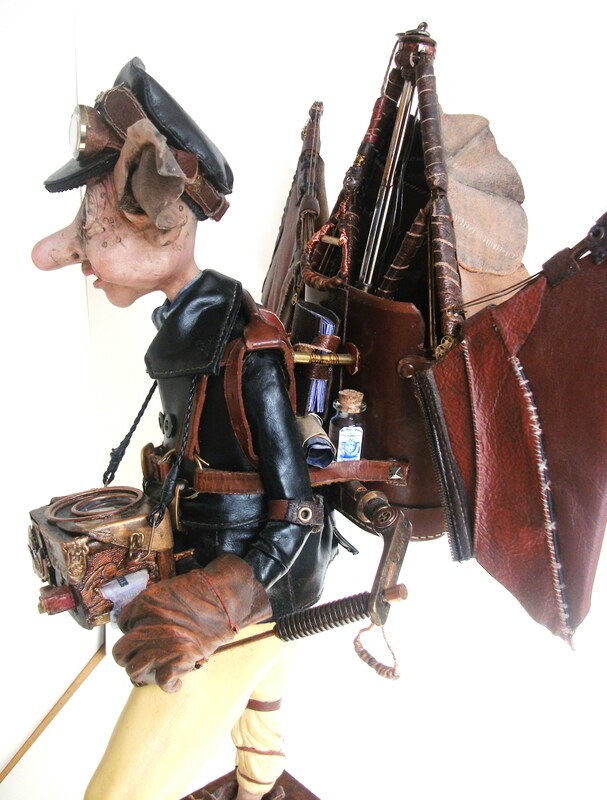 He keeps urging me to hurry and finish as he has work to do, tickets to check, flying between the floating buses in the world he belongs..I’m doing my best! 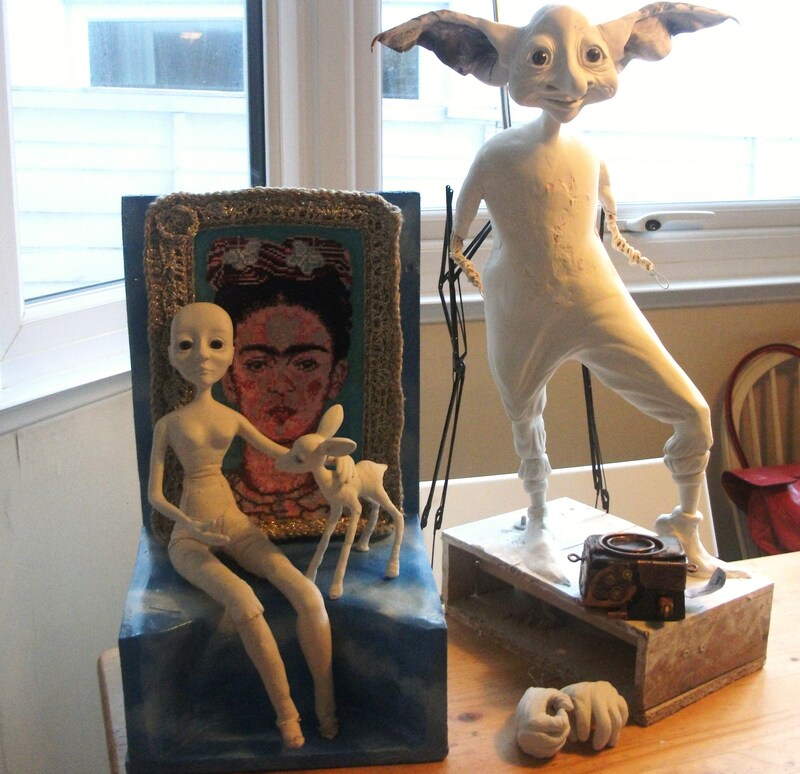 Check back soon to see how it is going! 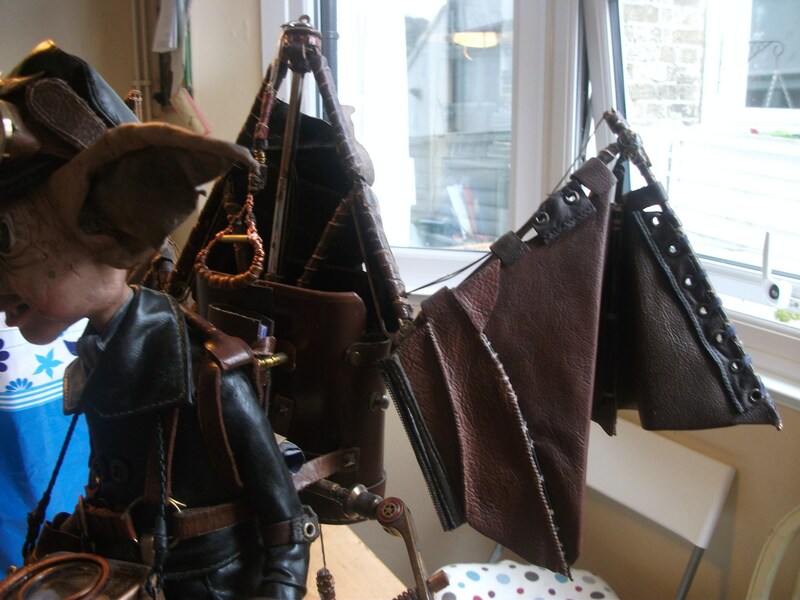 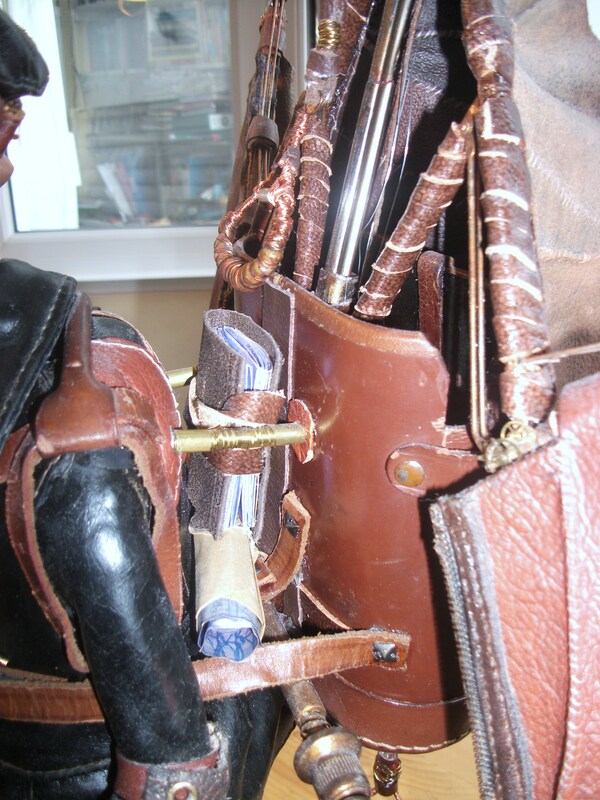 which tuck into the space between his backpack and himself! 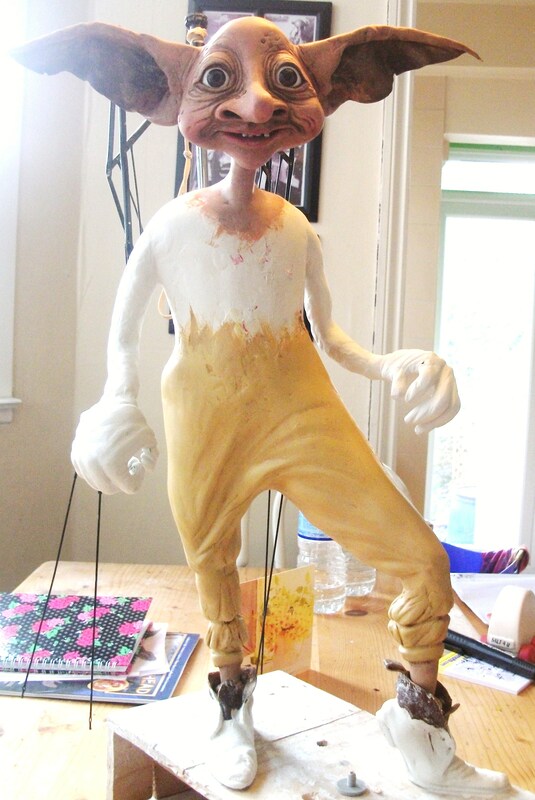 his base is all finished and signed. 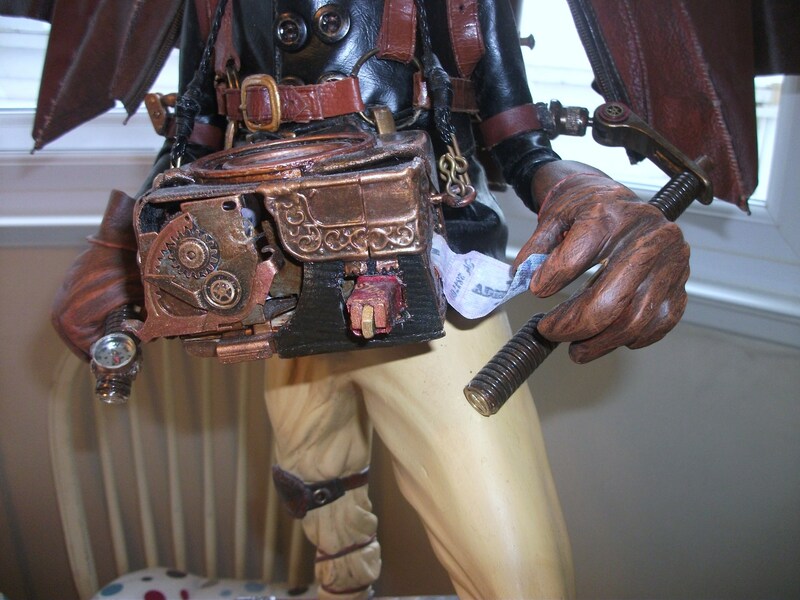 close up of his machine! 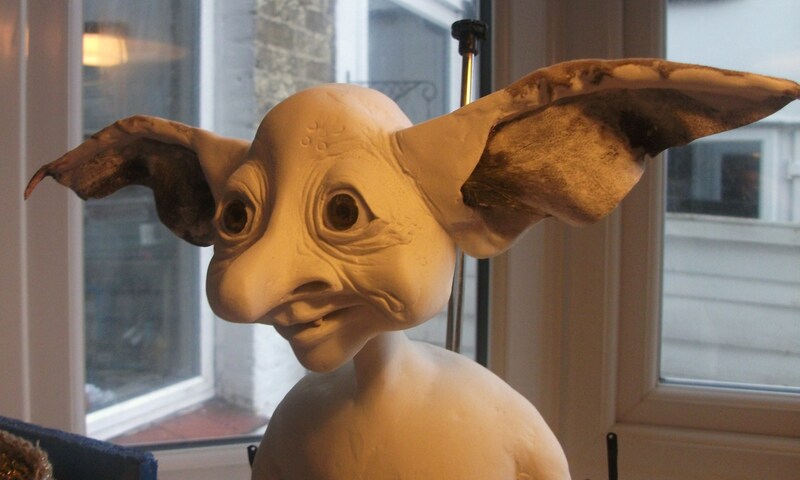 Just got to write his story now…..